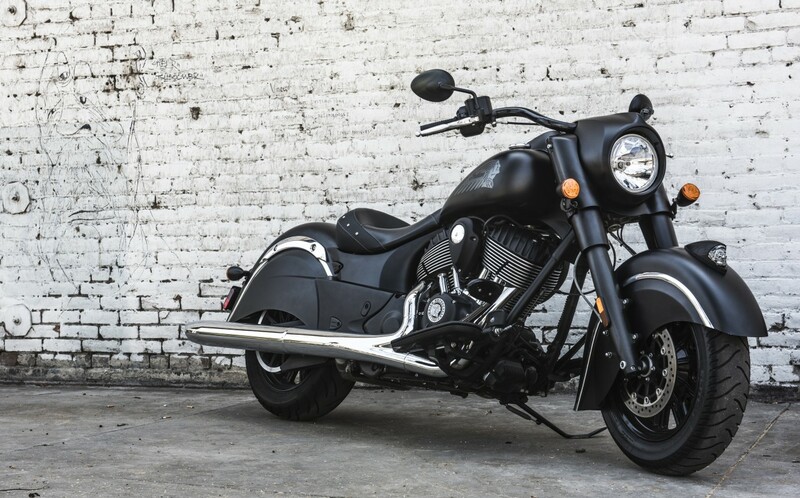 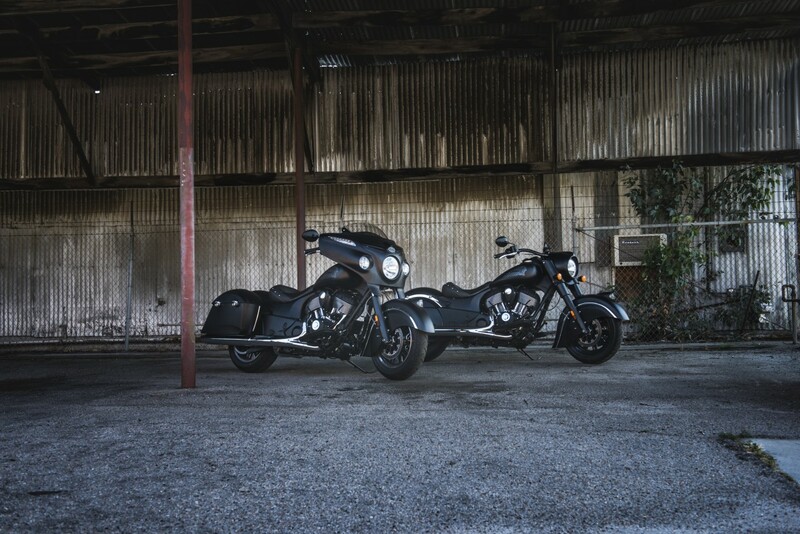 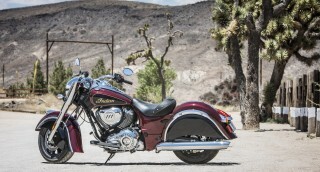 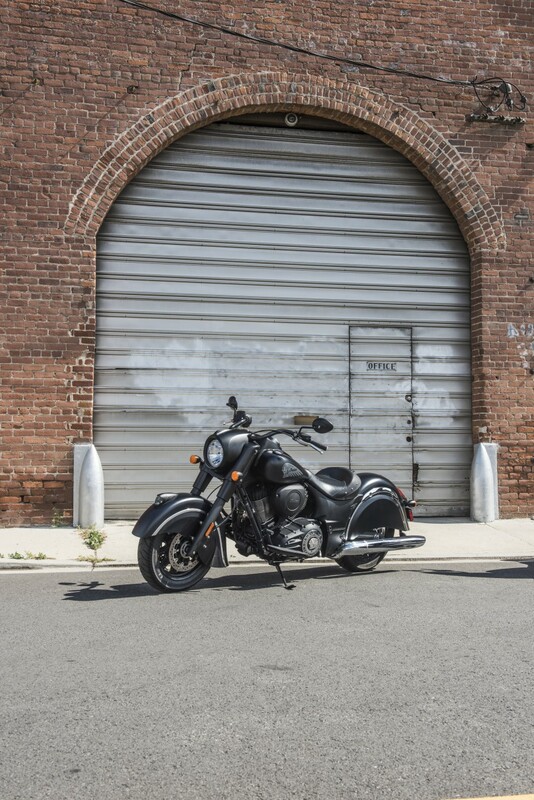 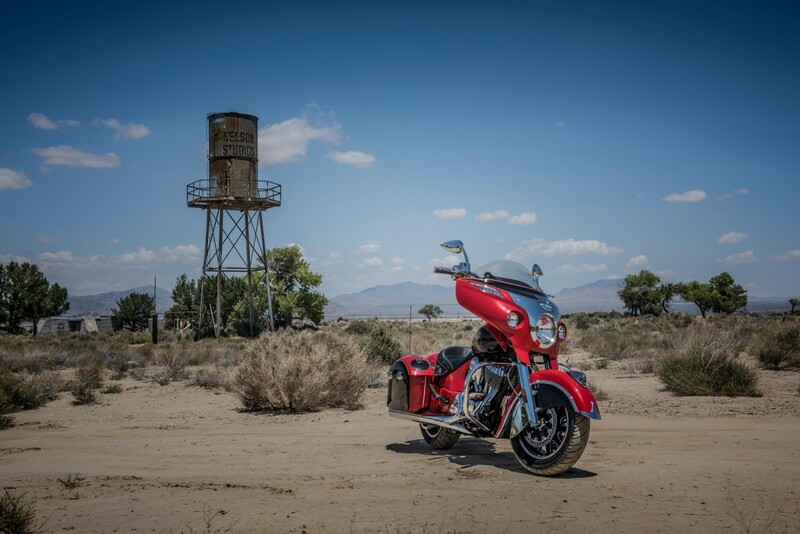 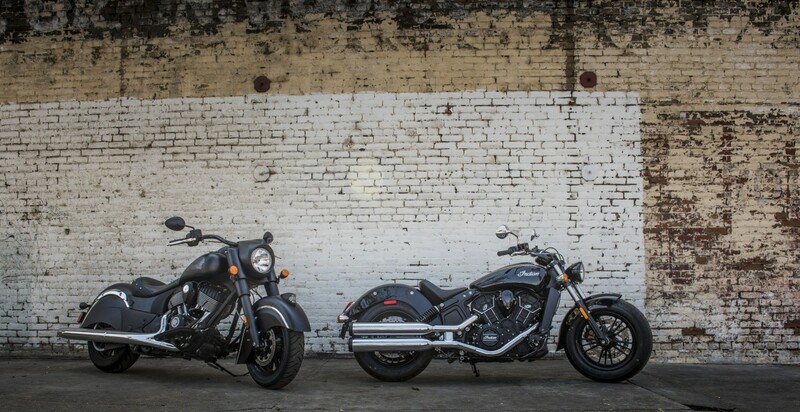 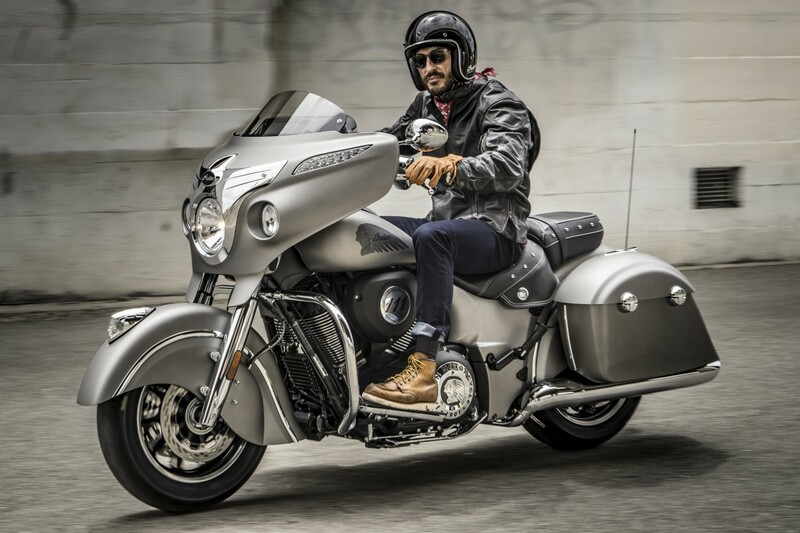 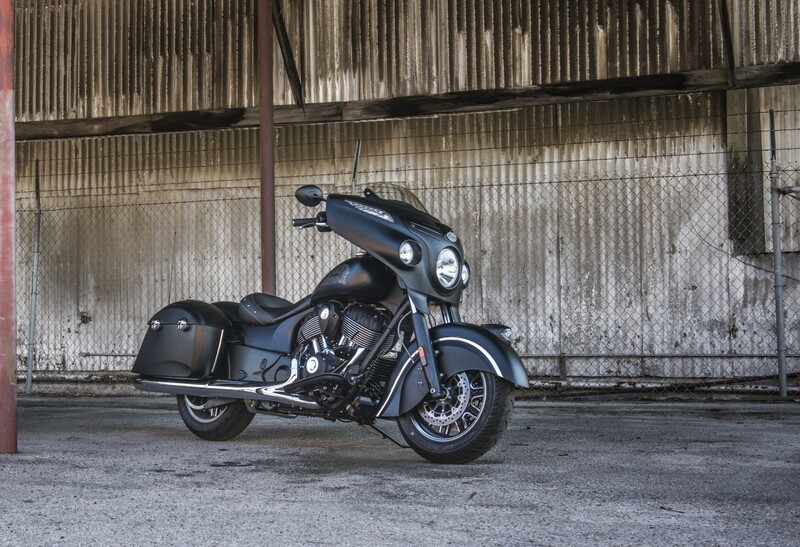 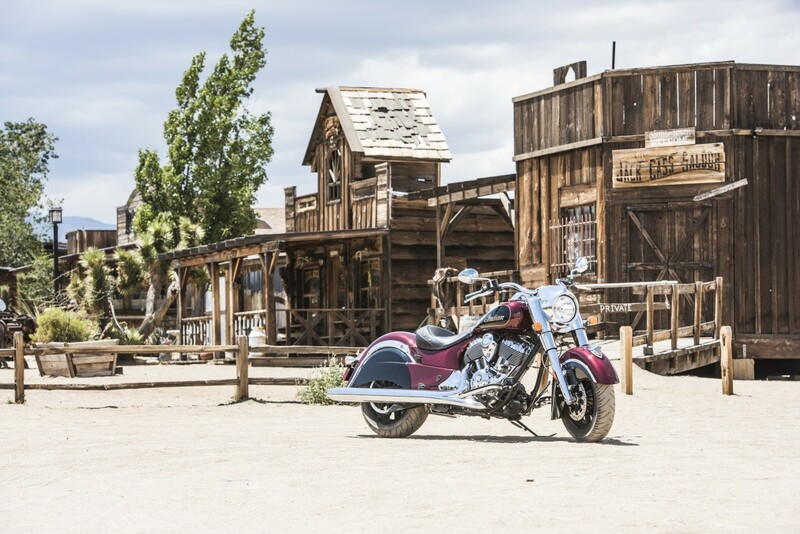 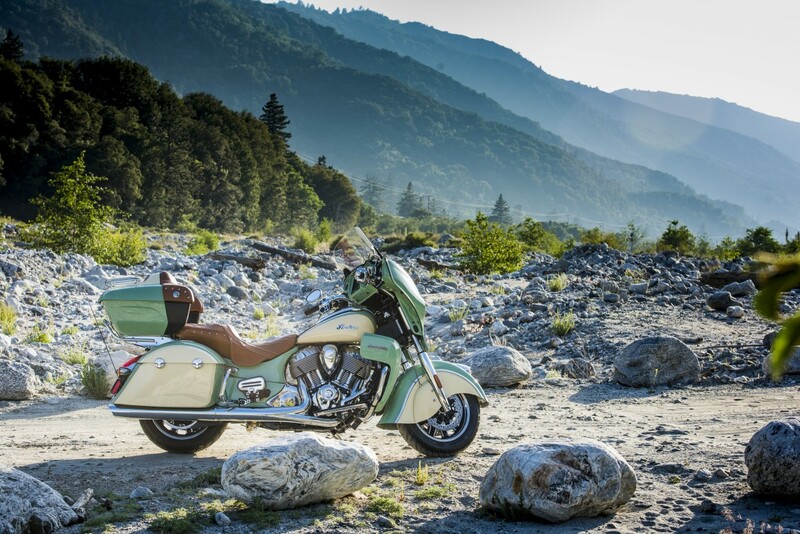 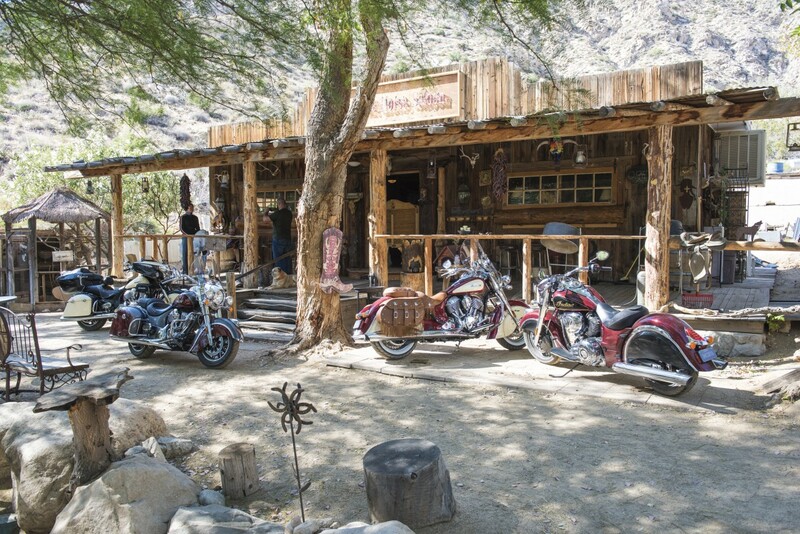 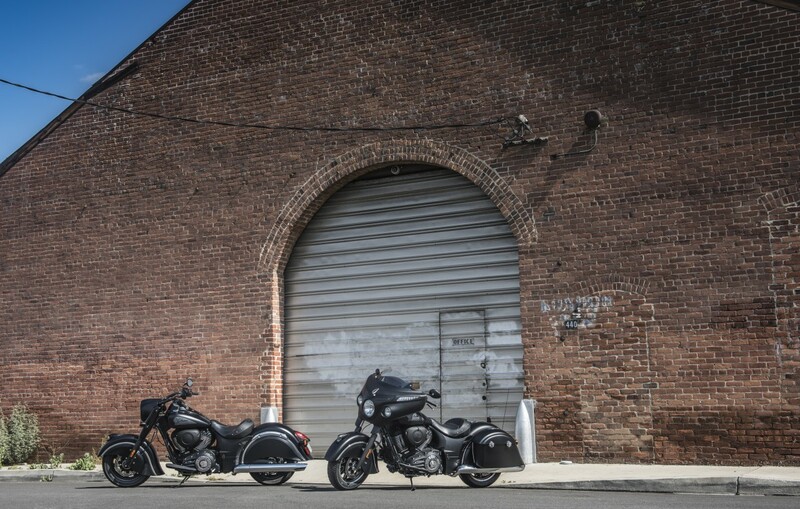 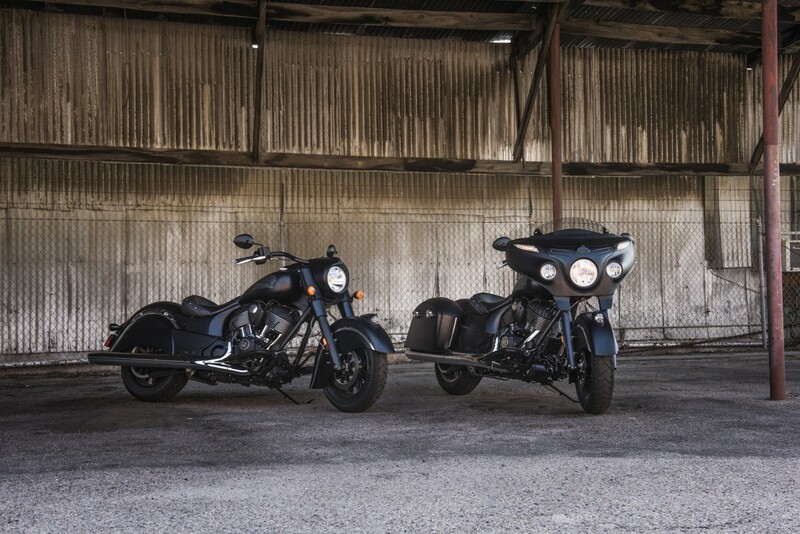 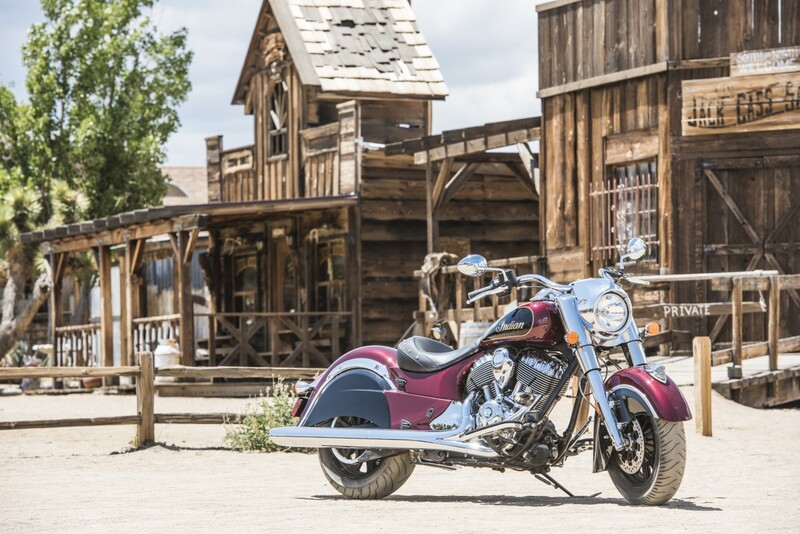 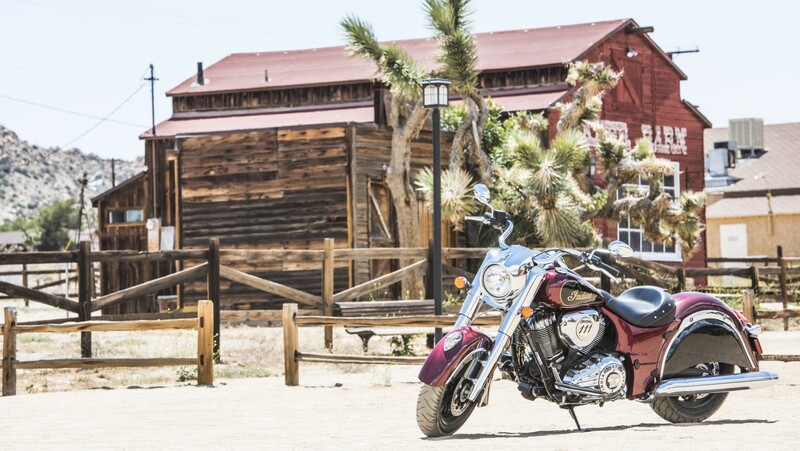 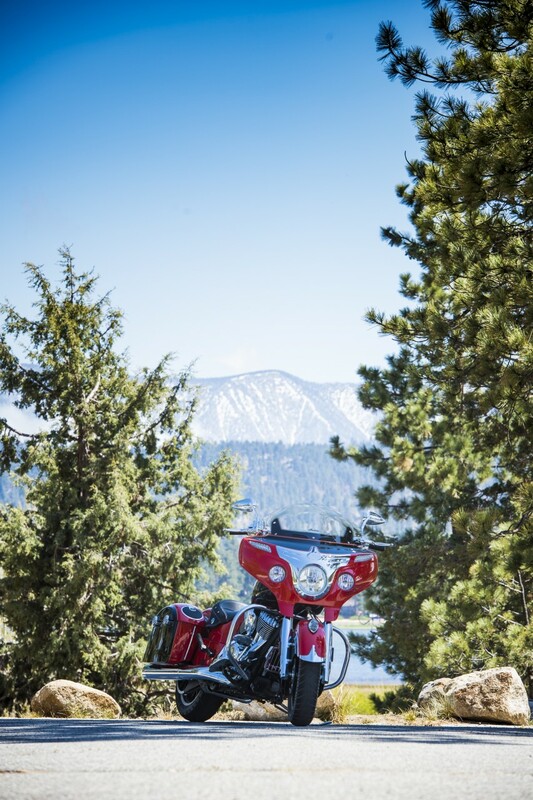 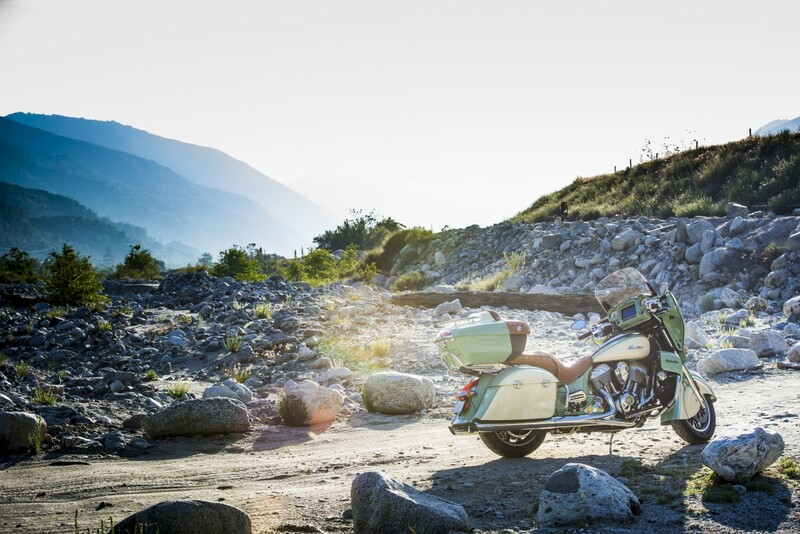 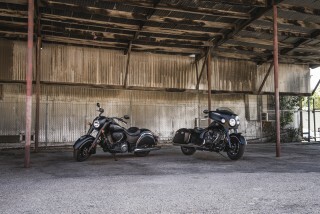 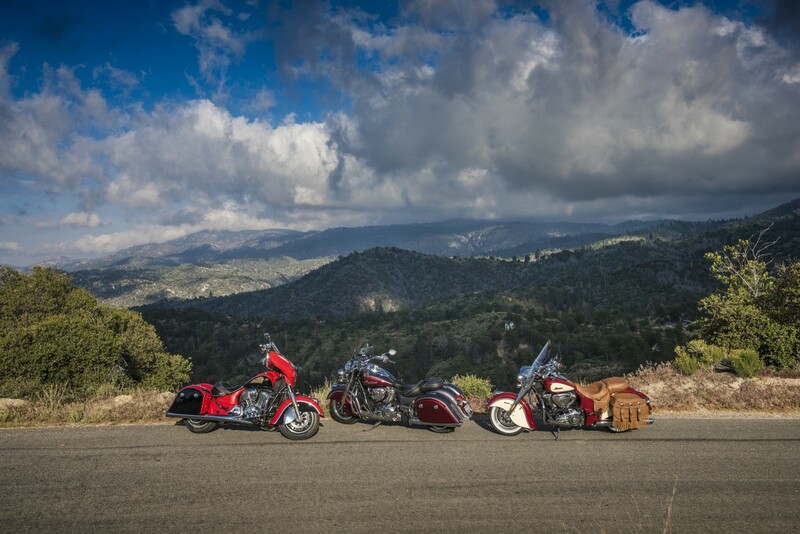 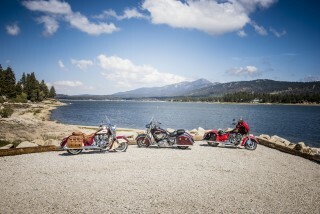 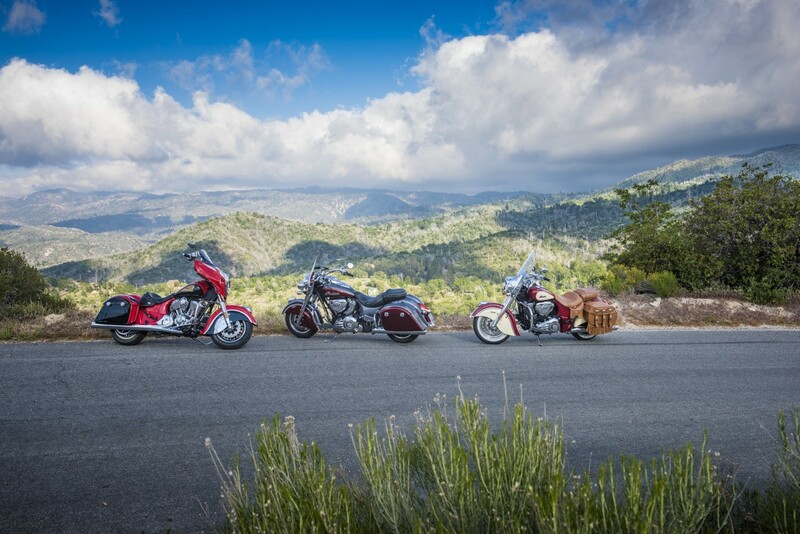 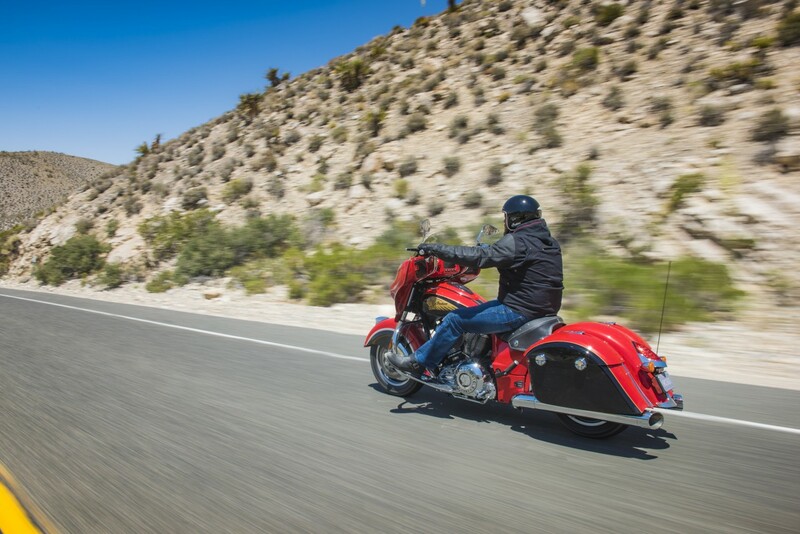 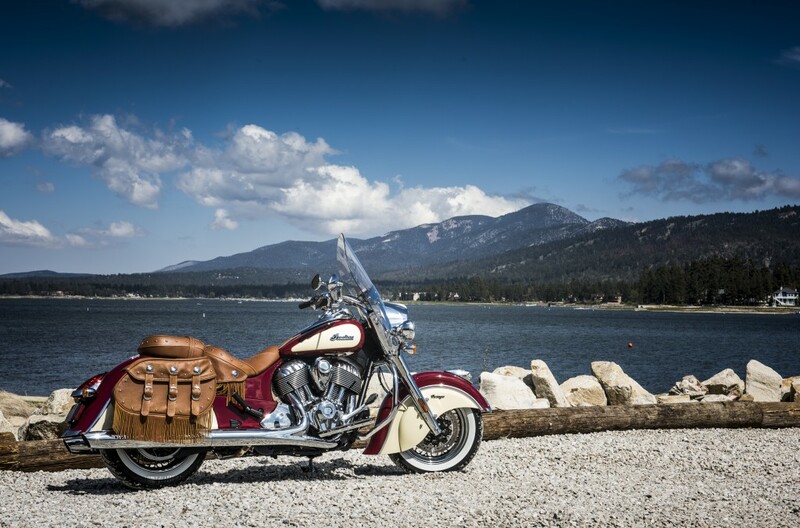 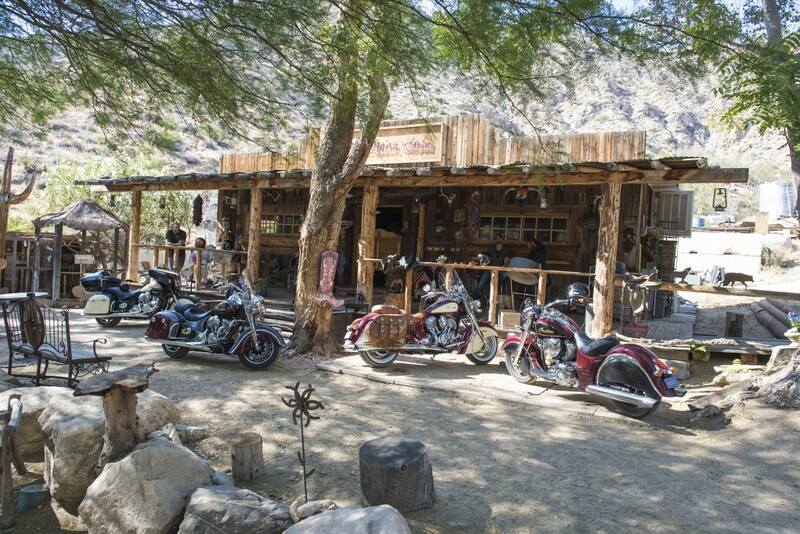 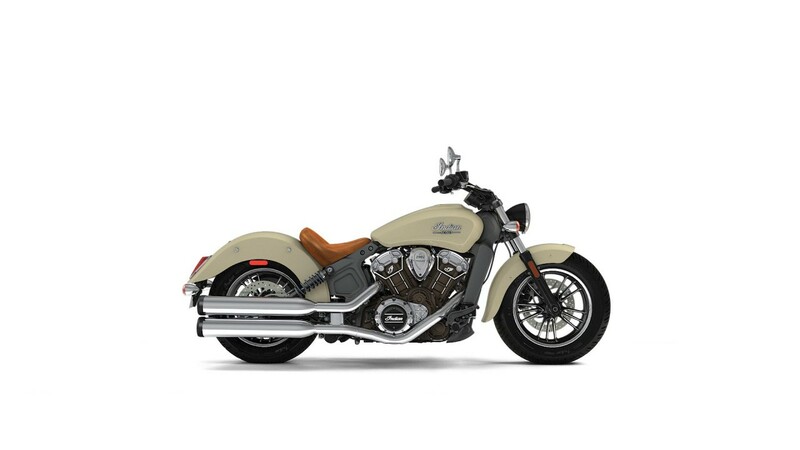 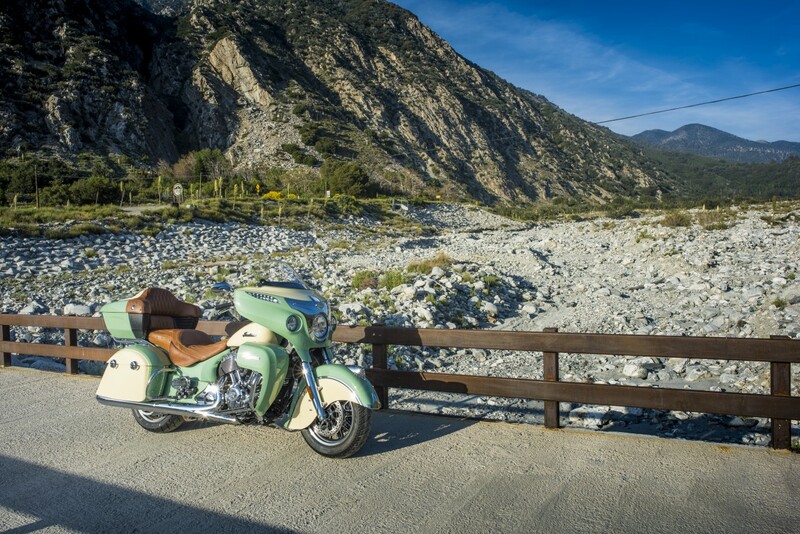 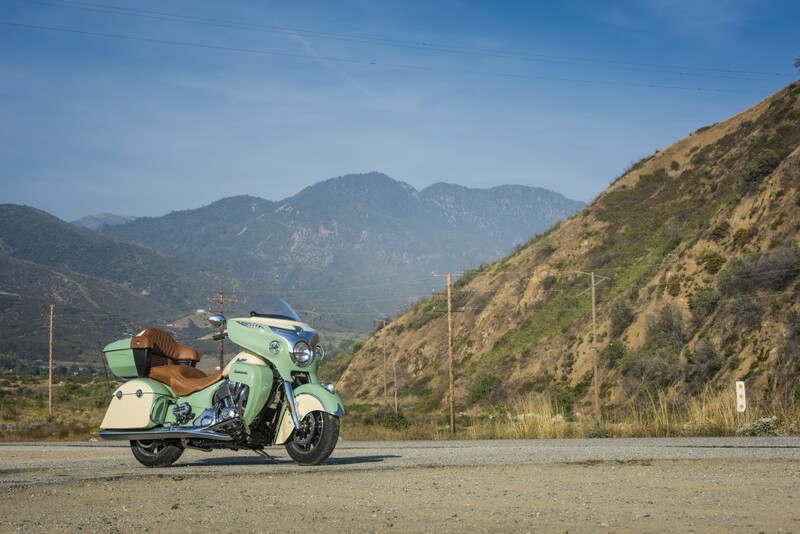 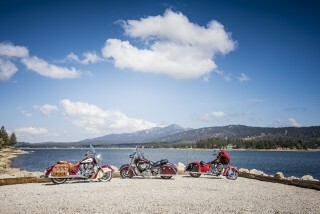 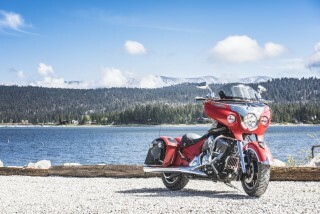 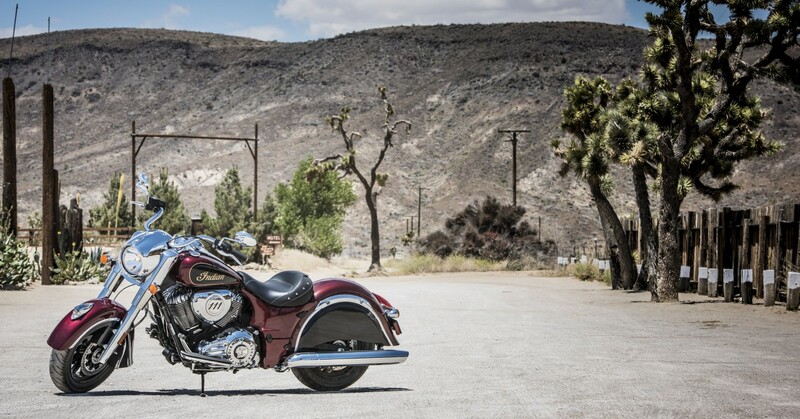 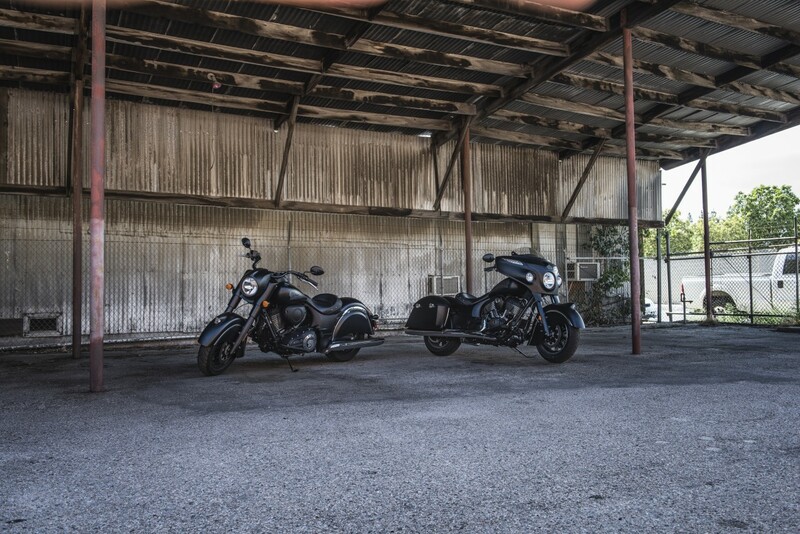 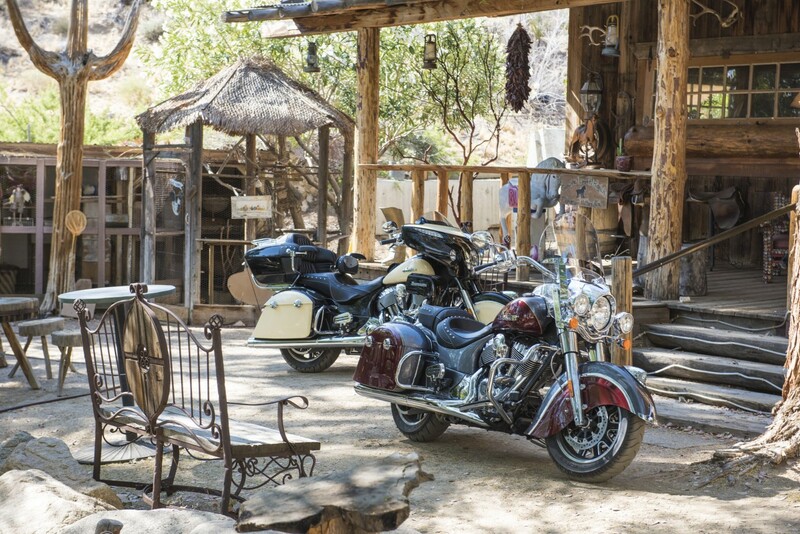 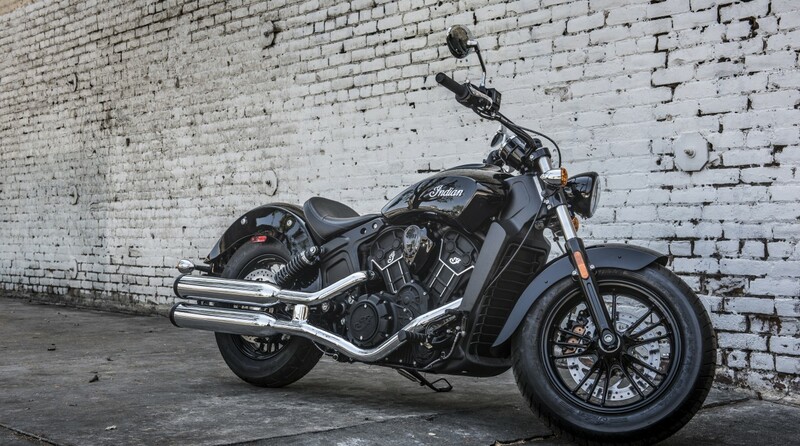 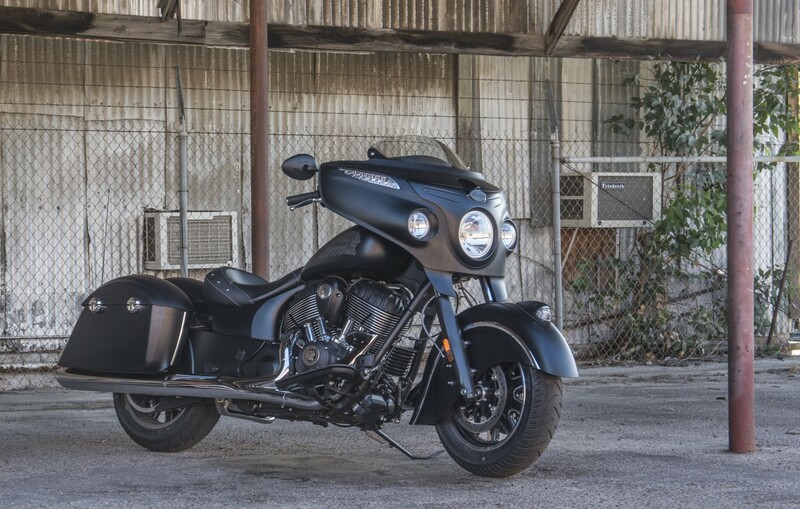 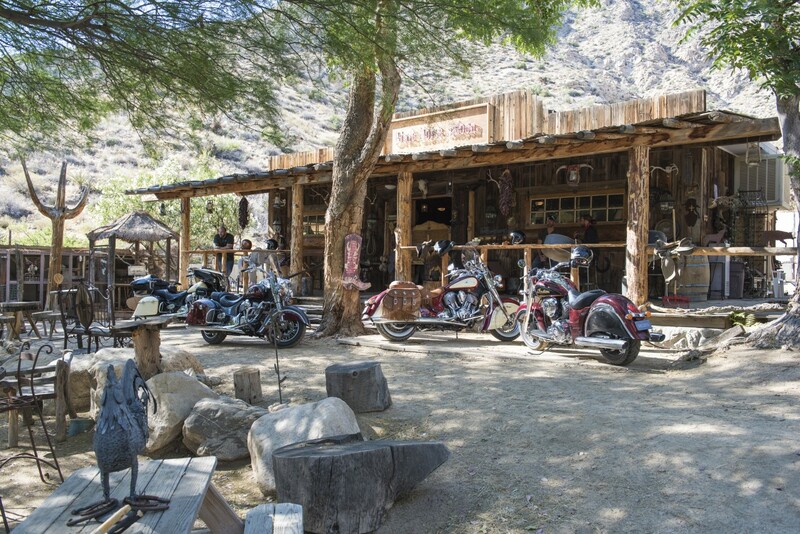 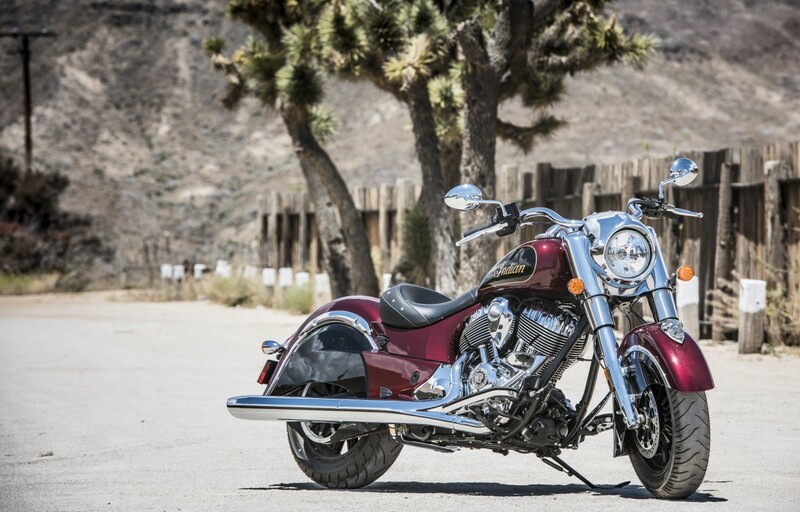 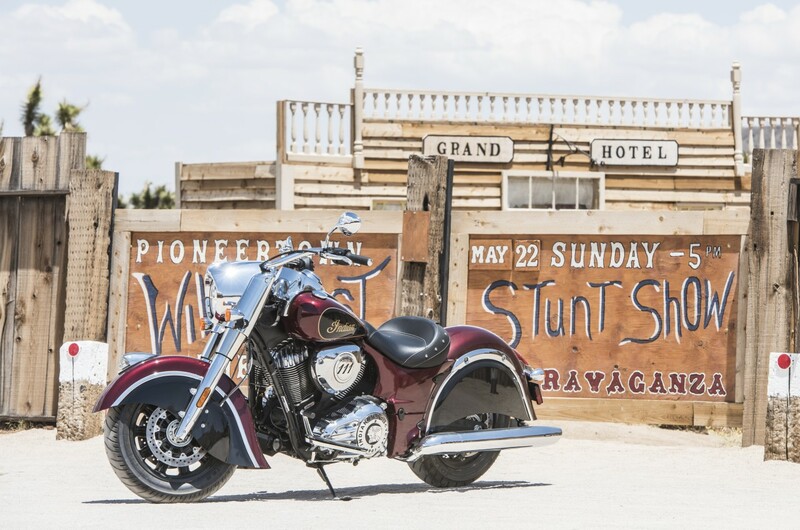 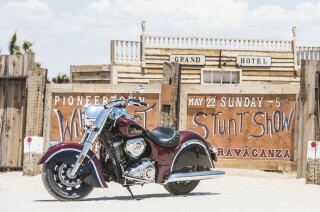 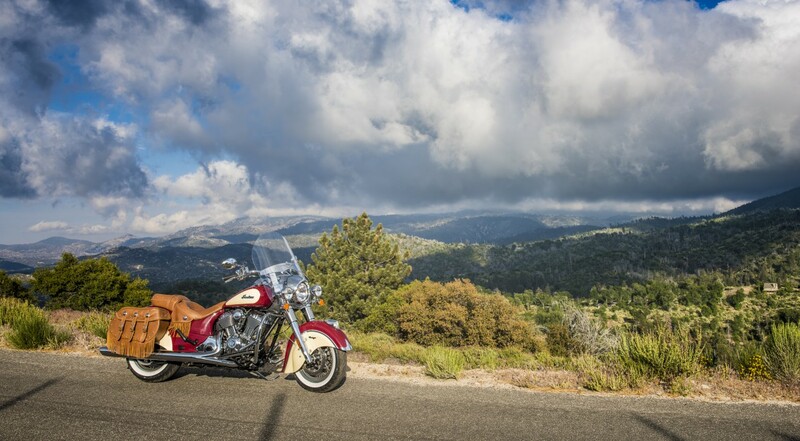 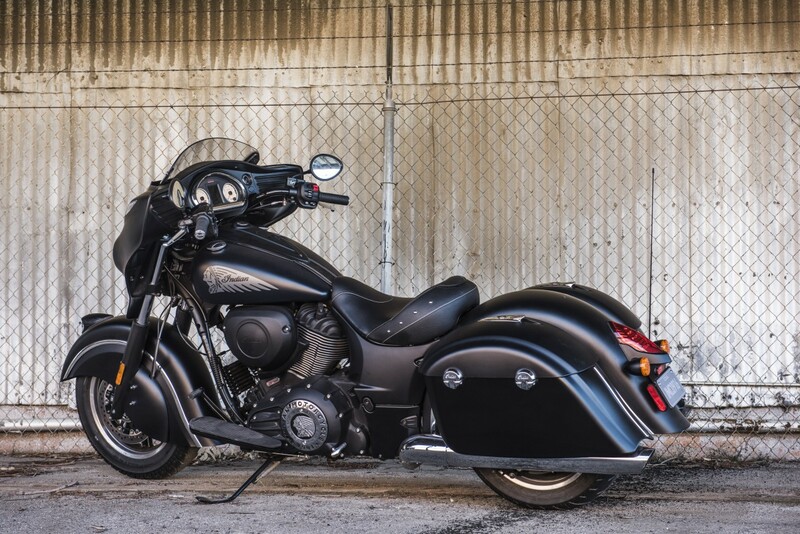 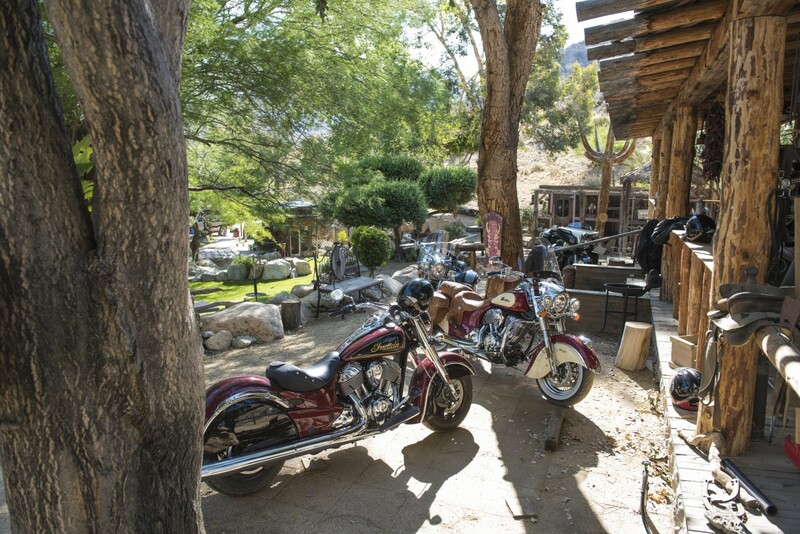 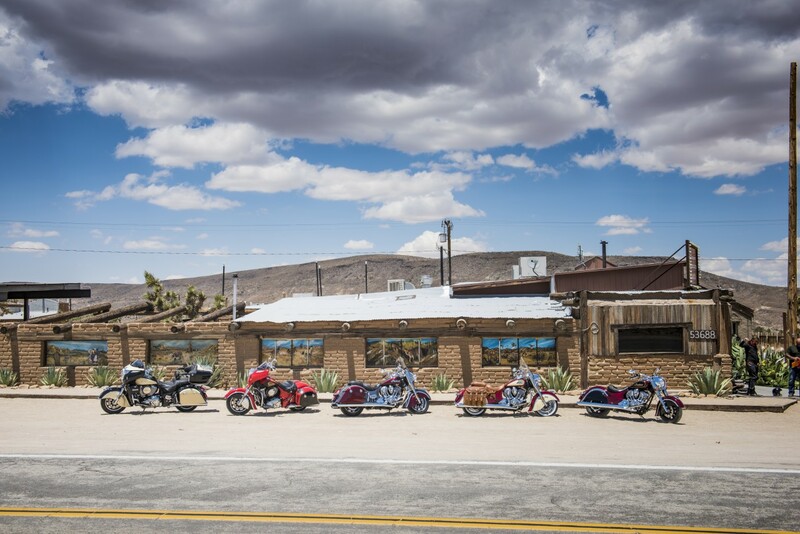 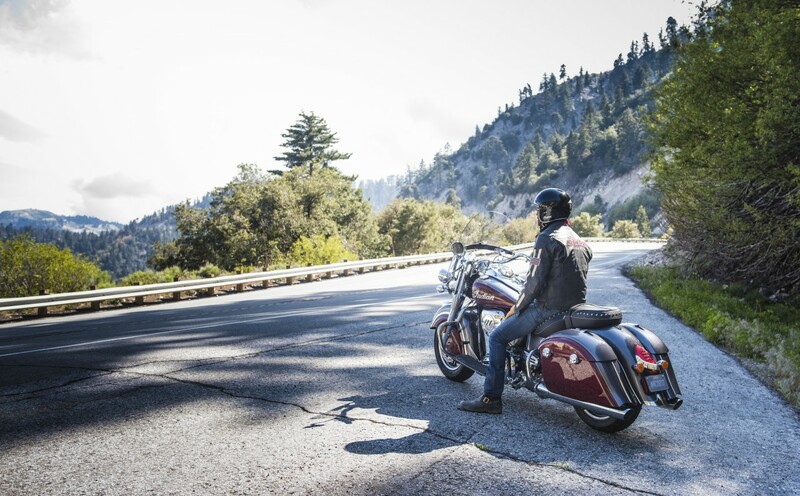 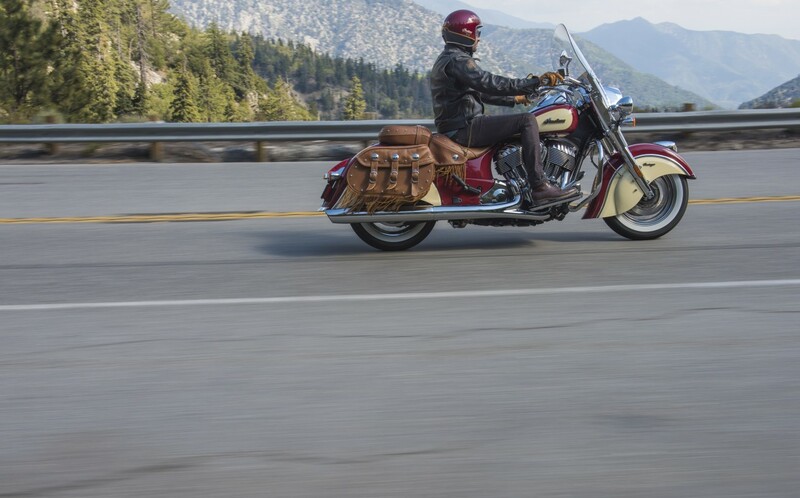 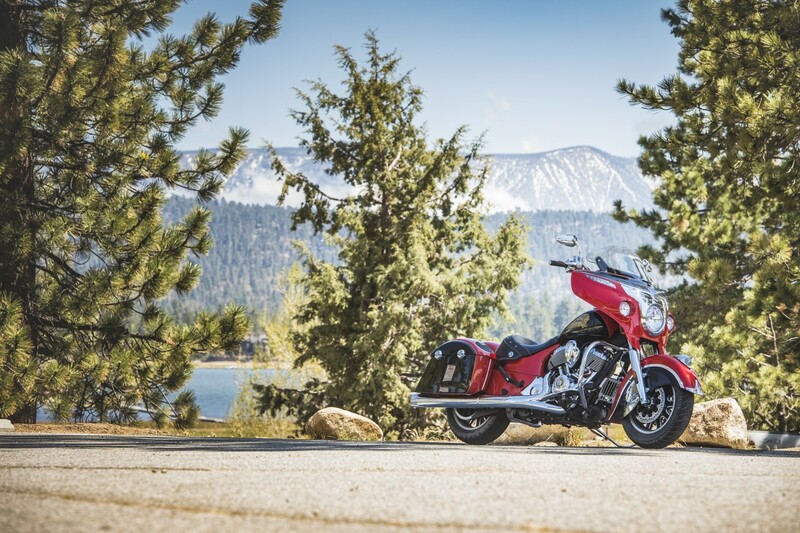 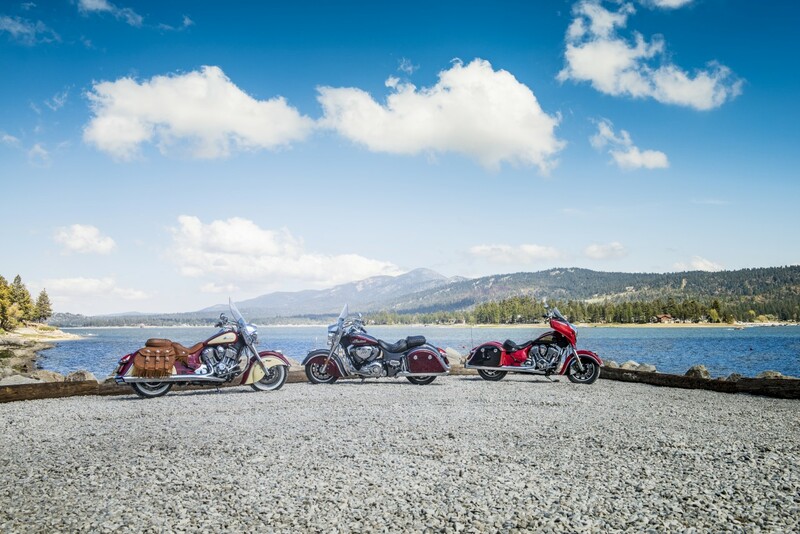 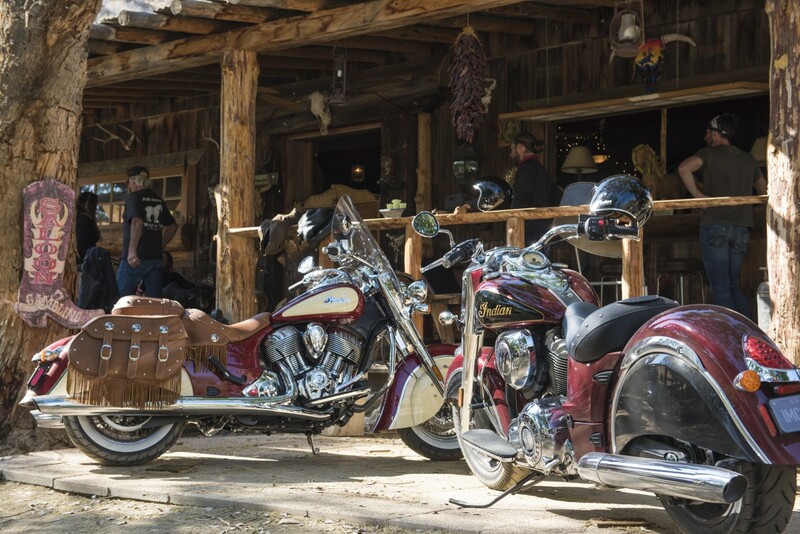 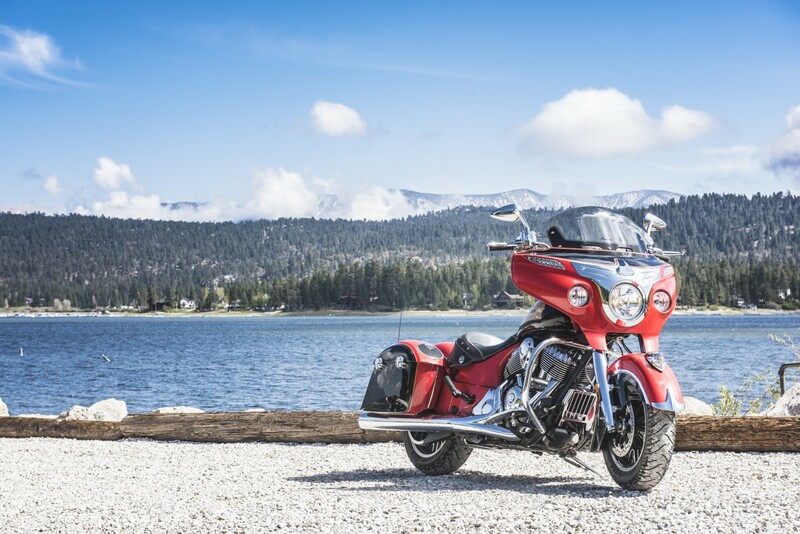 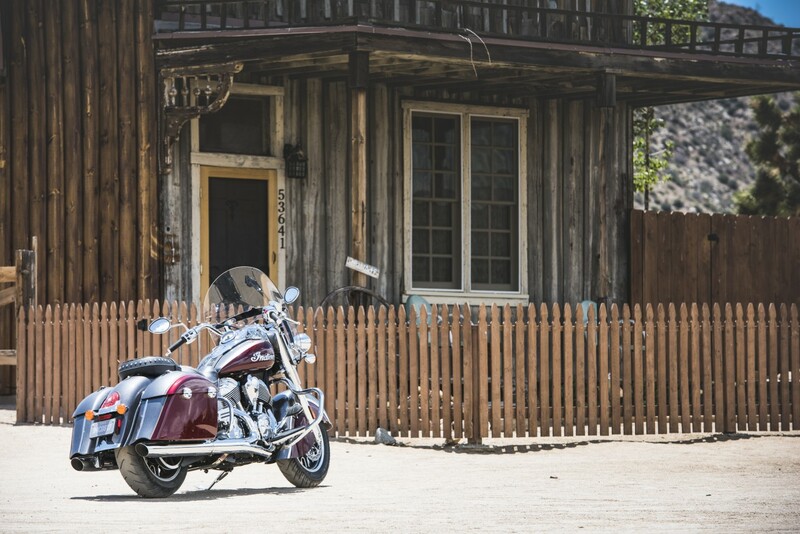 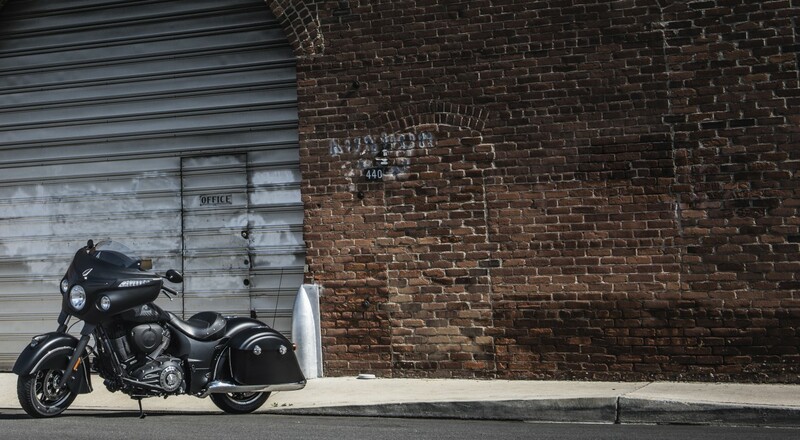 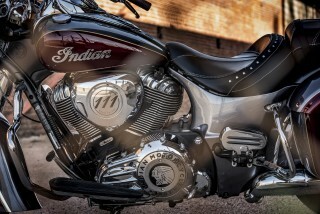 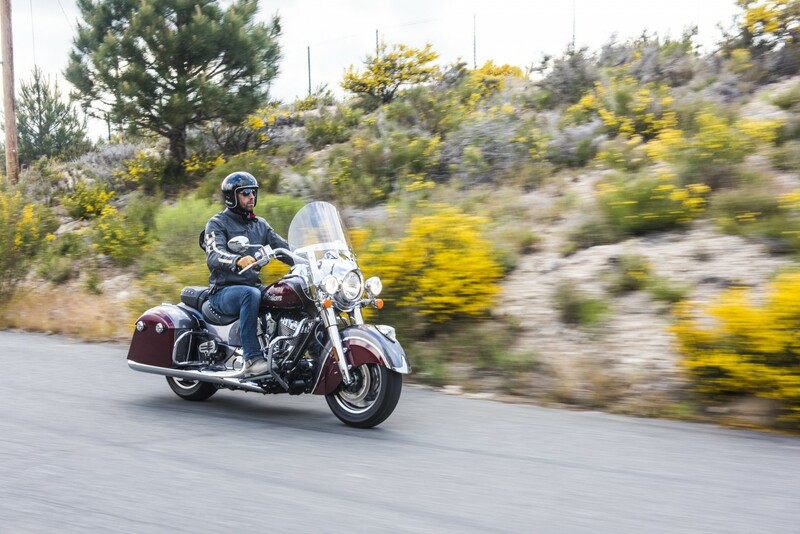 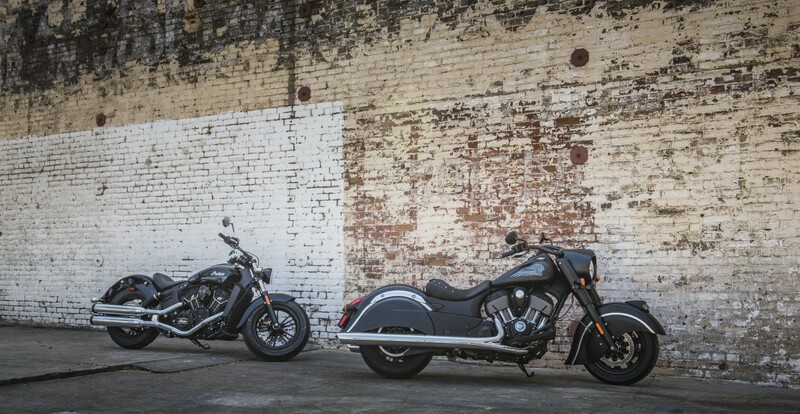 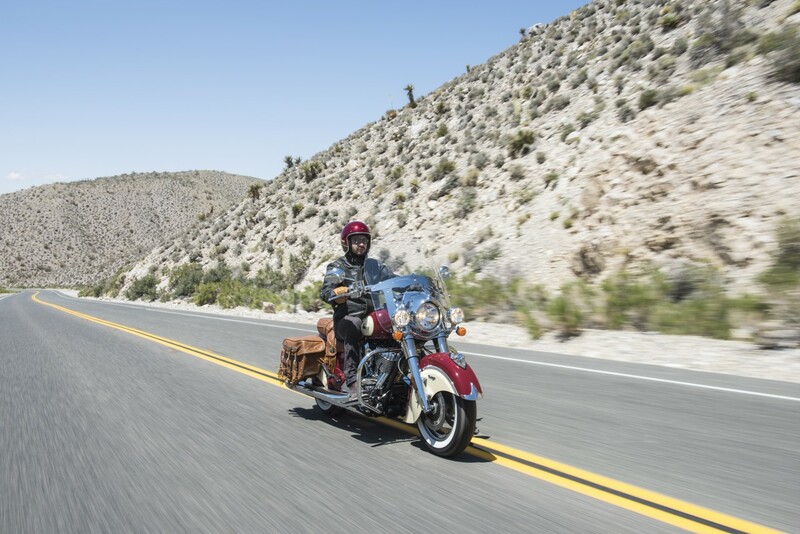 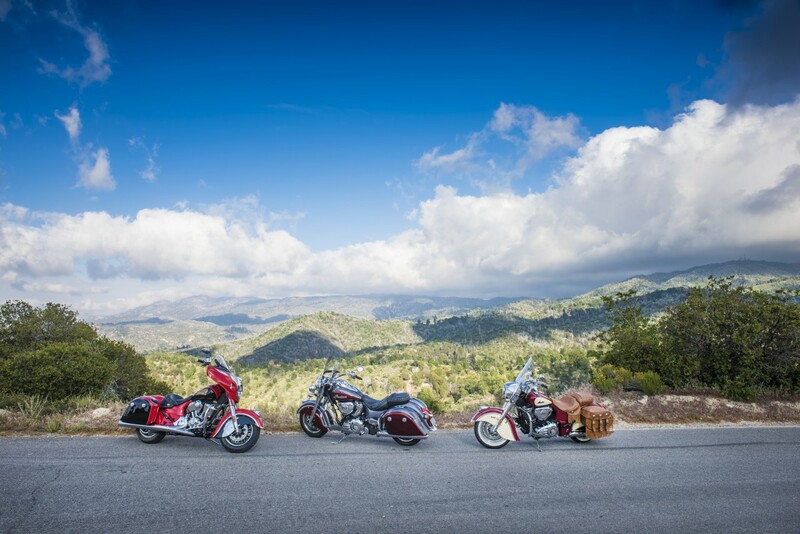 Indian Motorcycle is excited to announce its 2017 model year (MY17) line-up for the Europe, Middle East and Africa (EMEA) region. 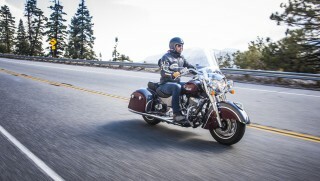 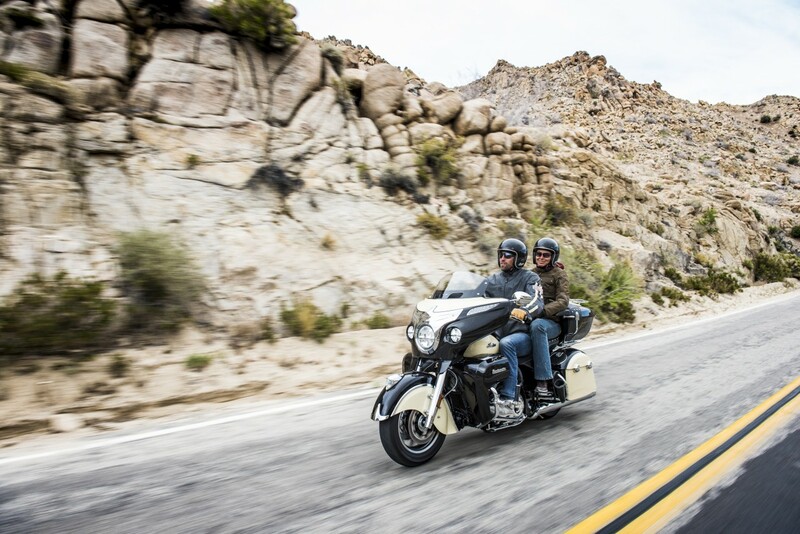 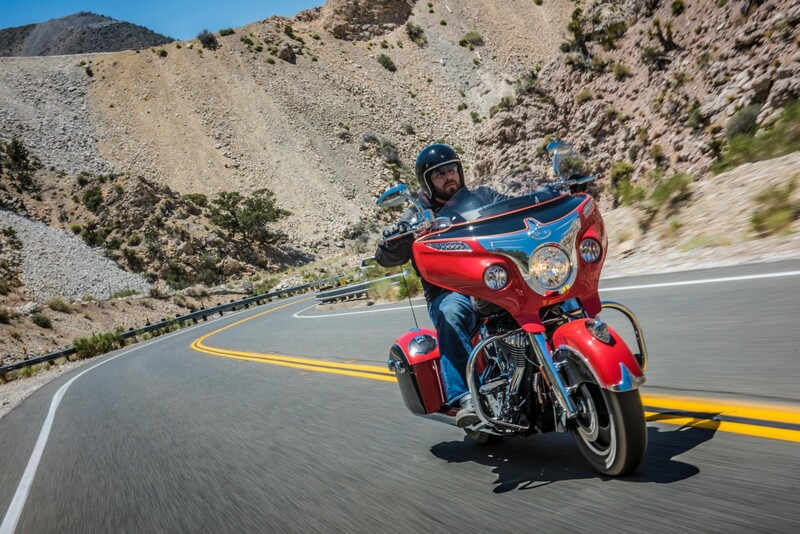 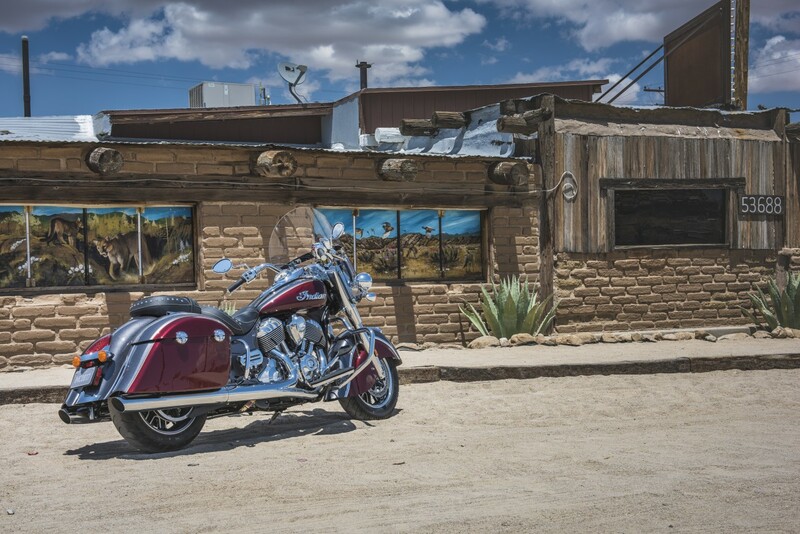 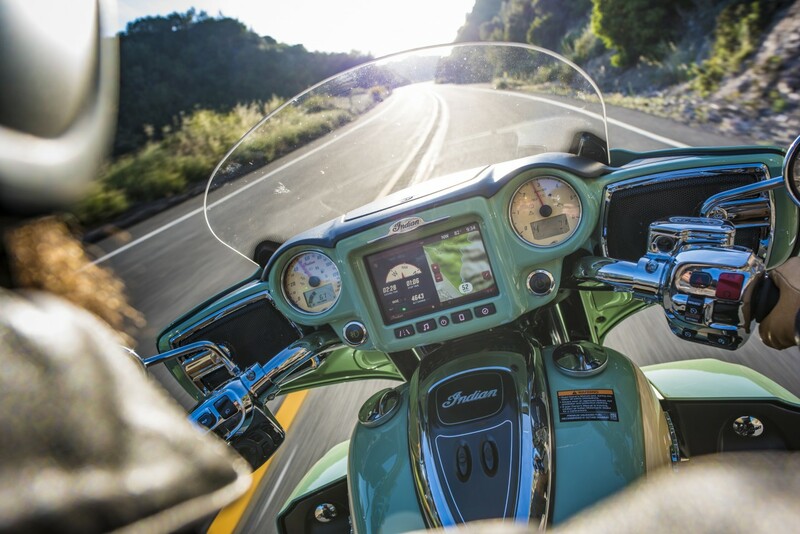 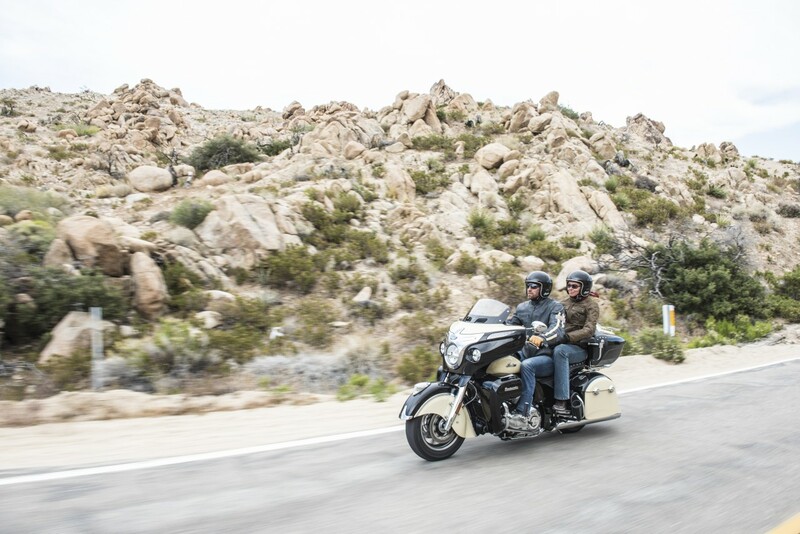 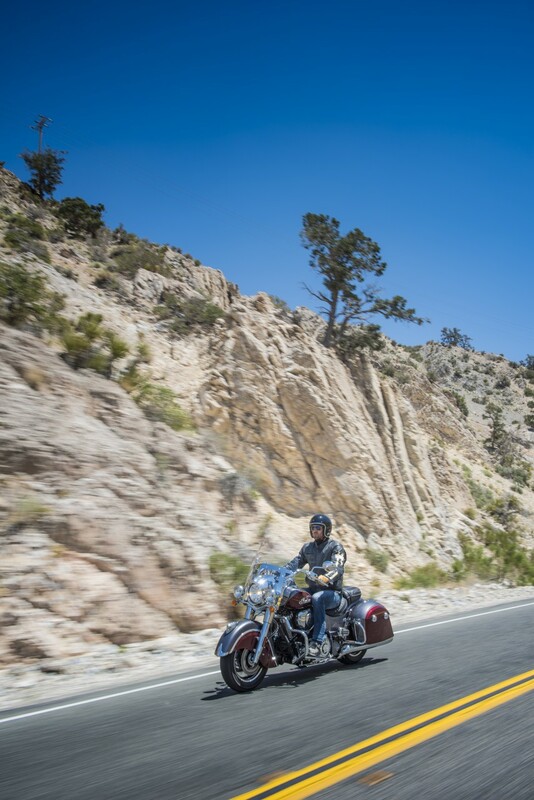 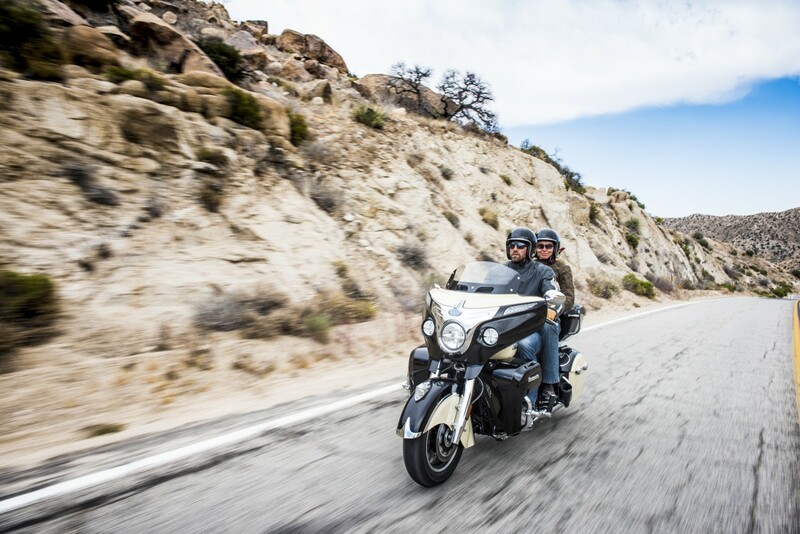 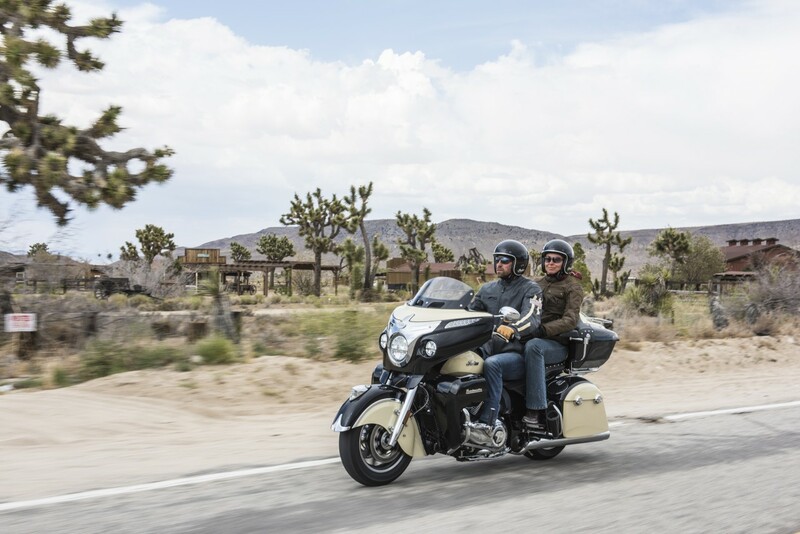 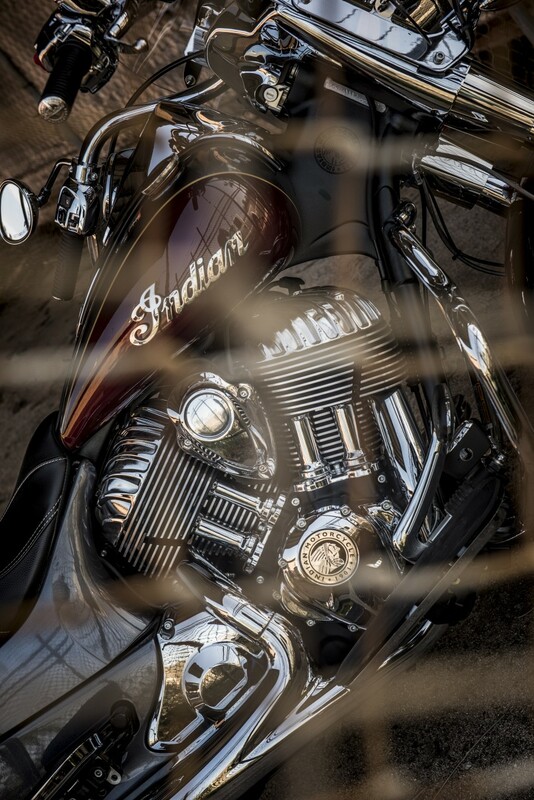 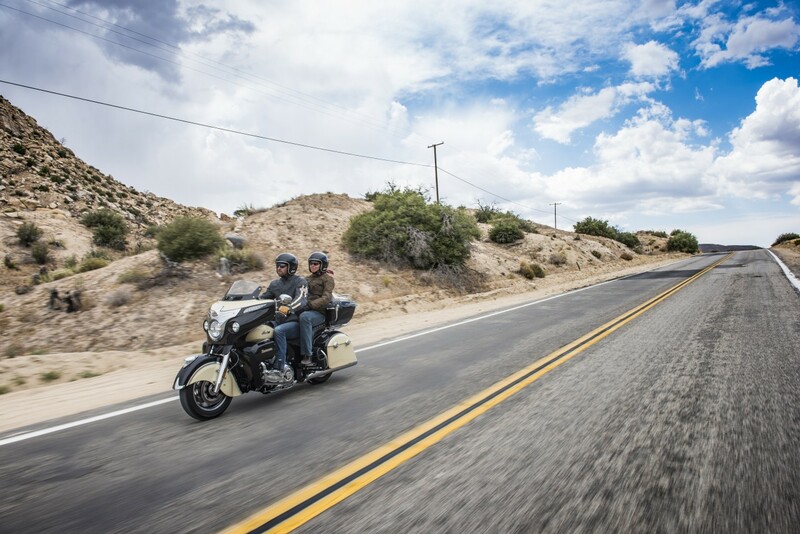 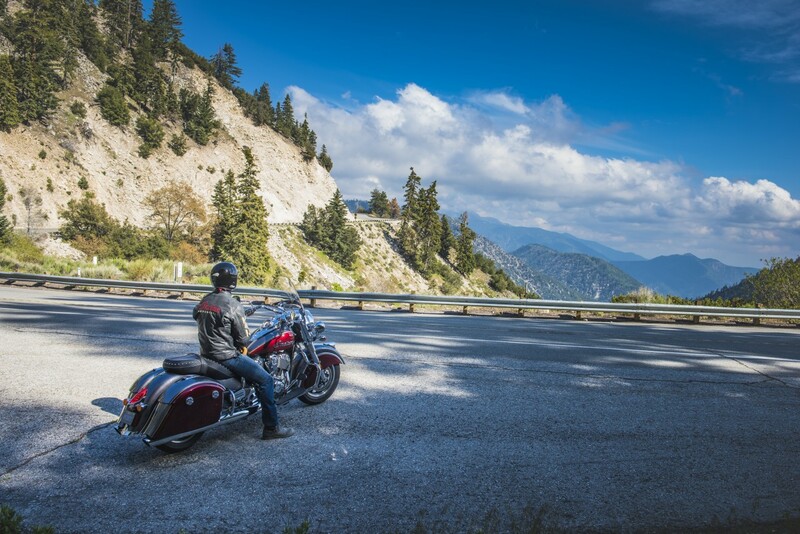 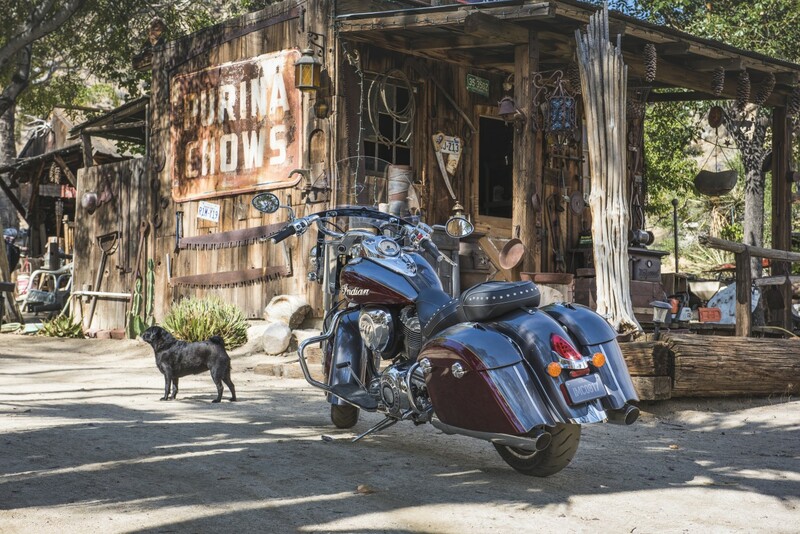 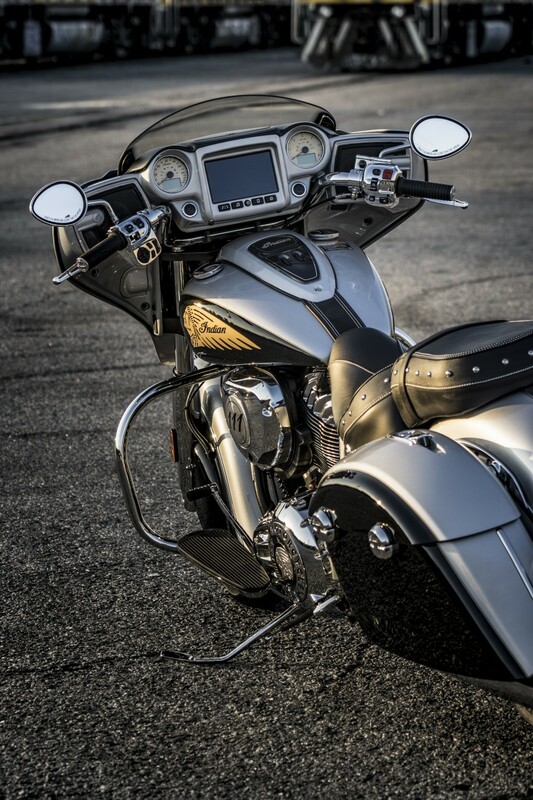 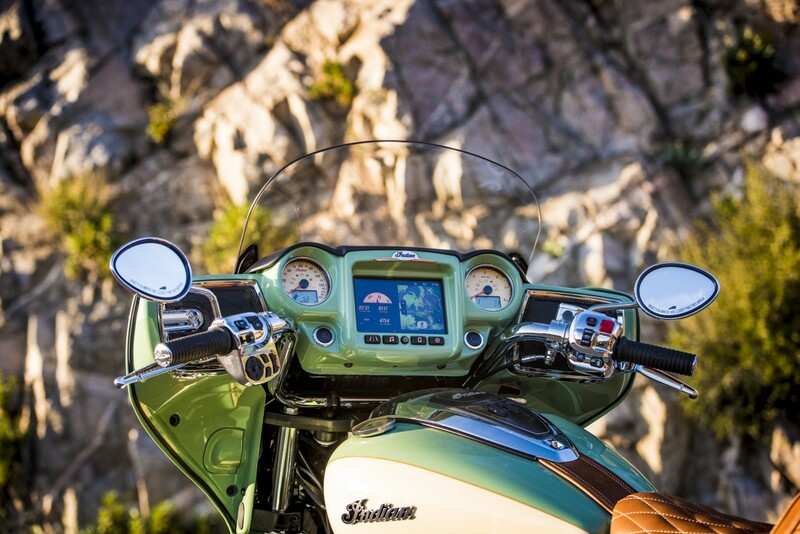 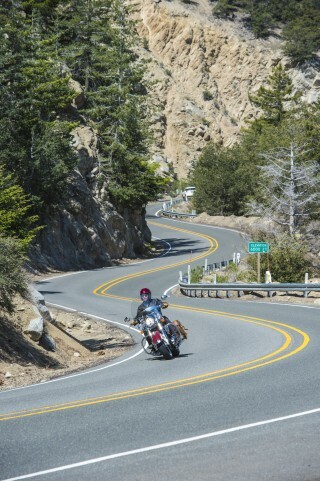 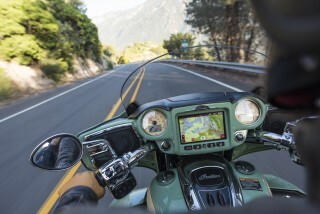 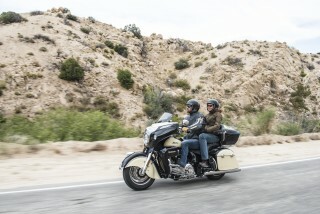 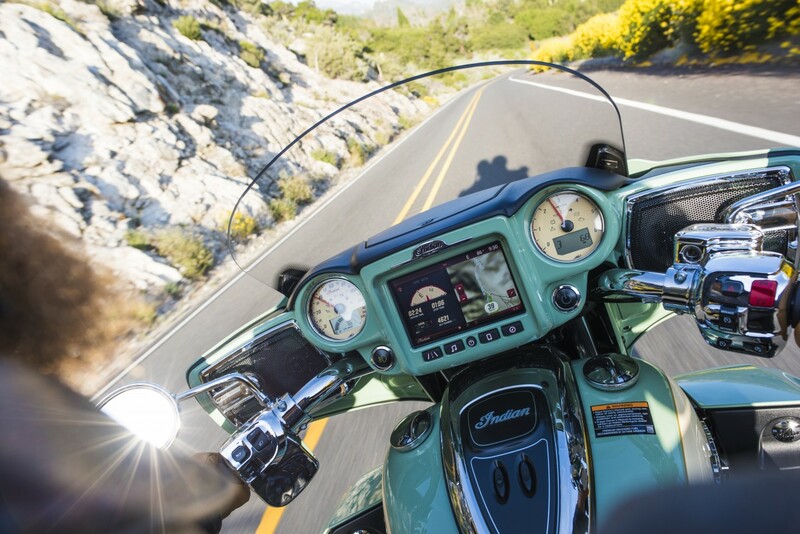 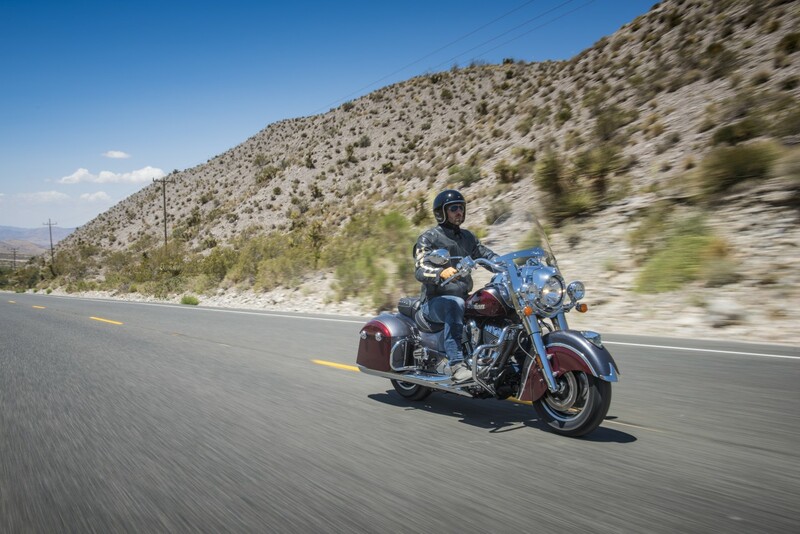 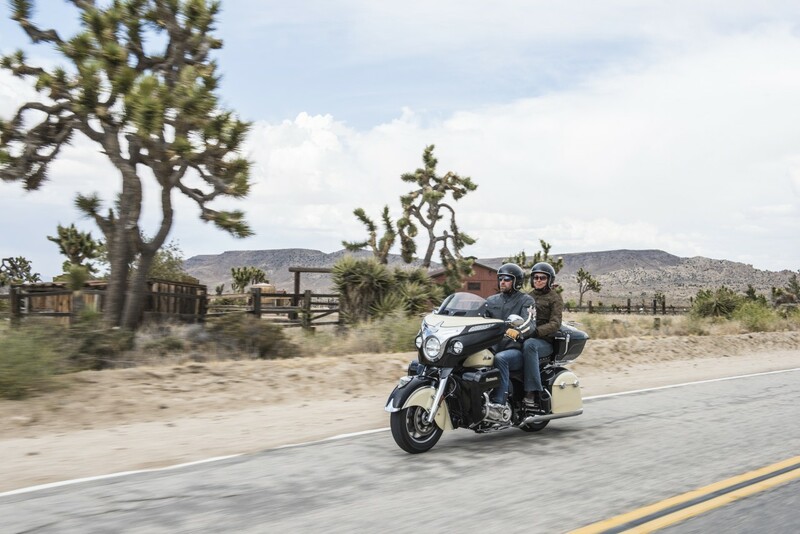 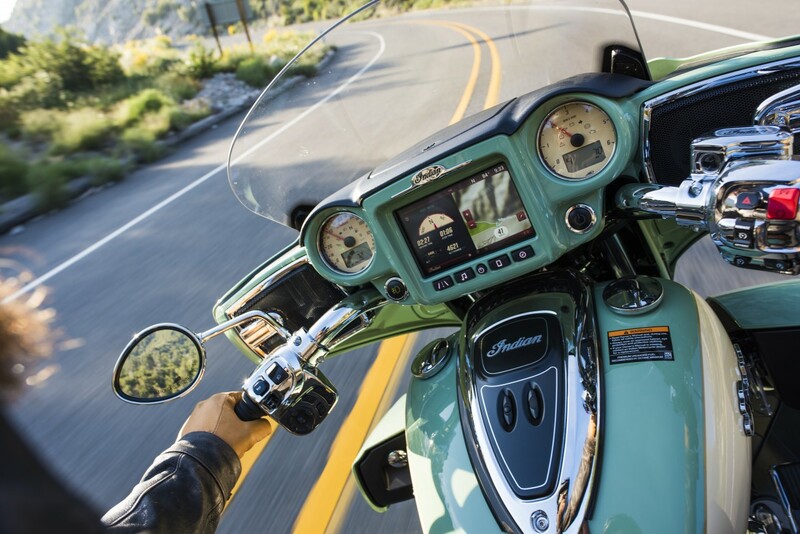 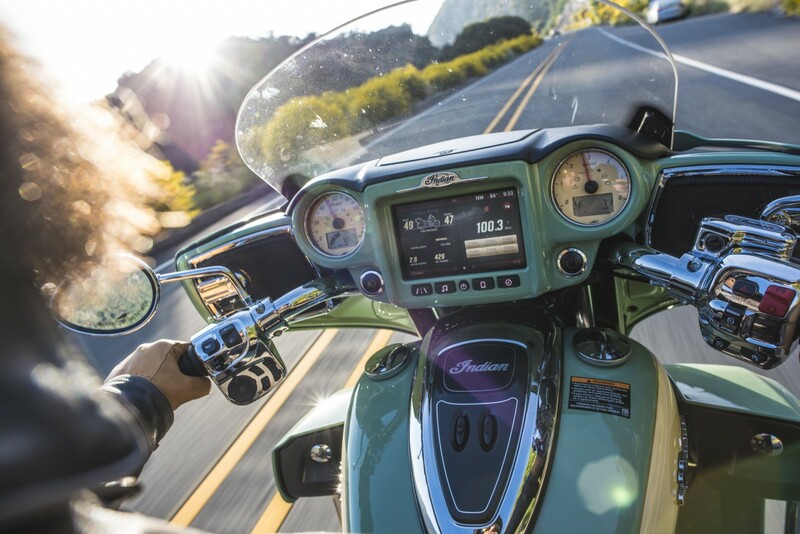 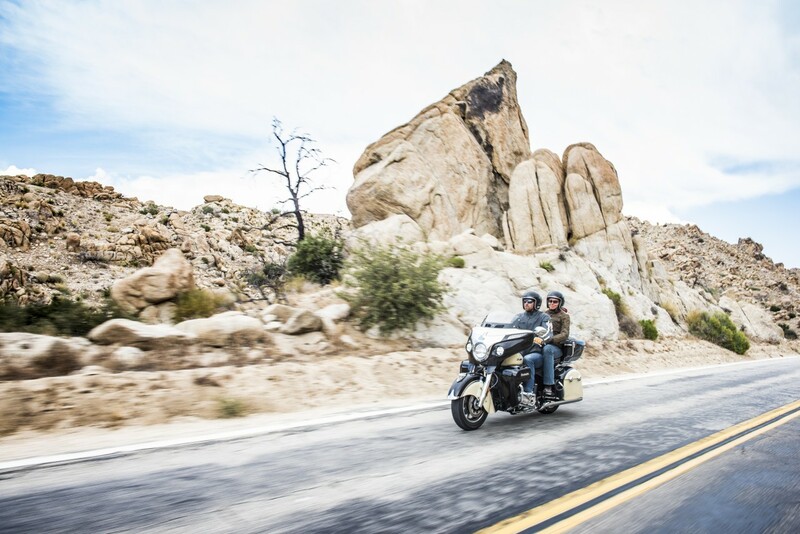 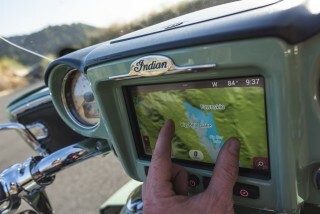 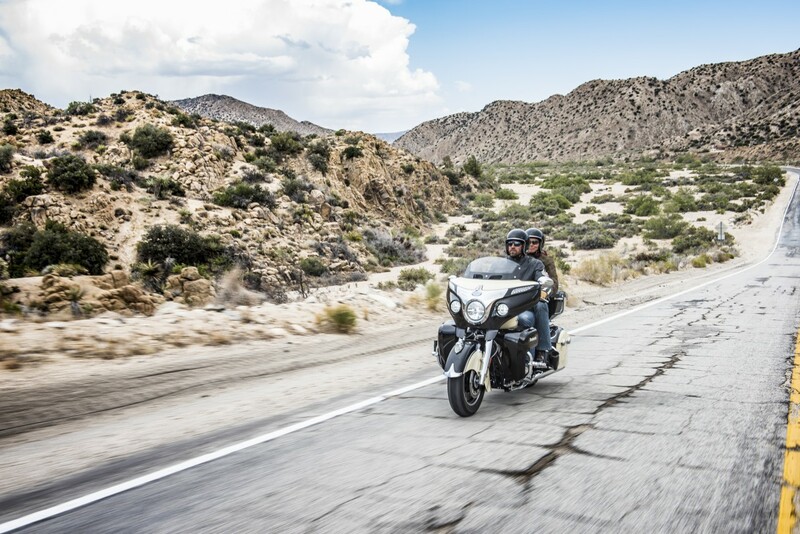 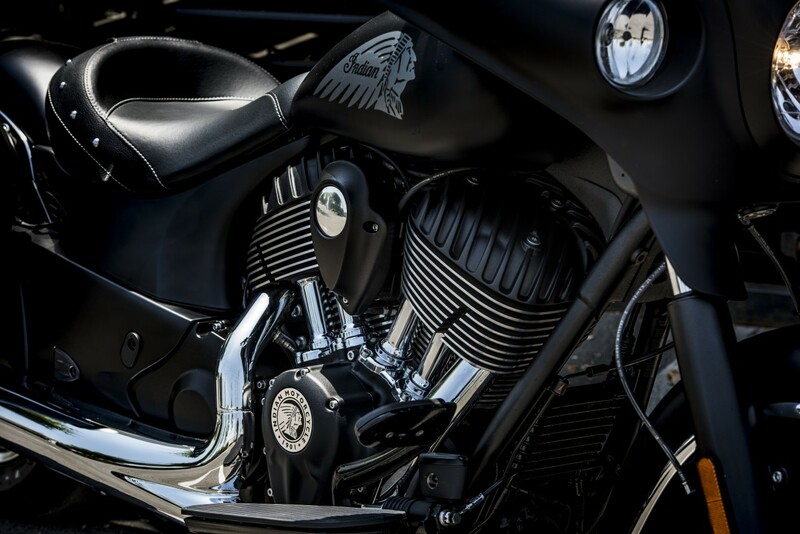 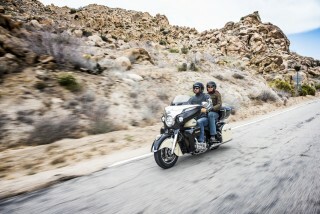 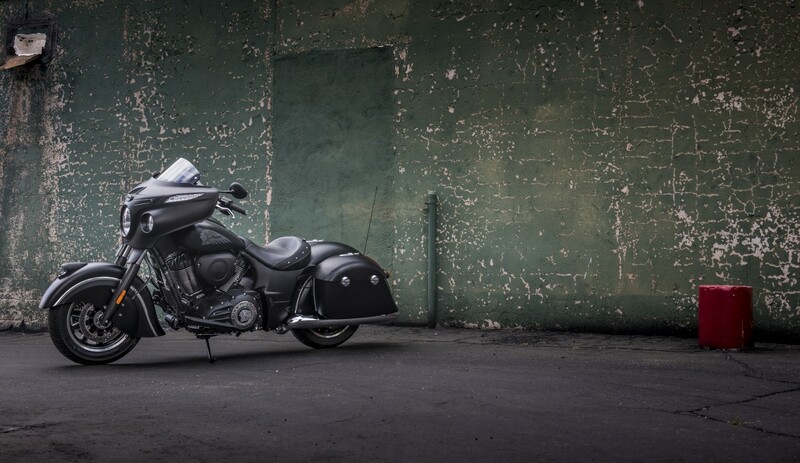 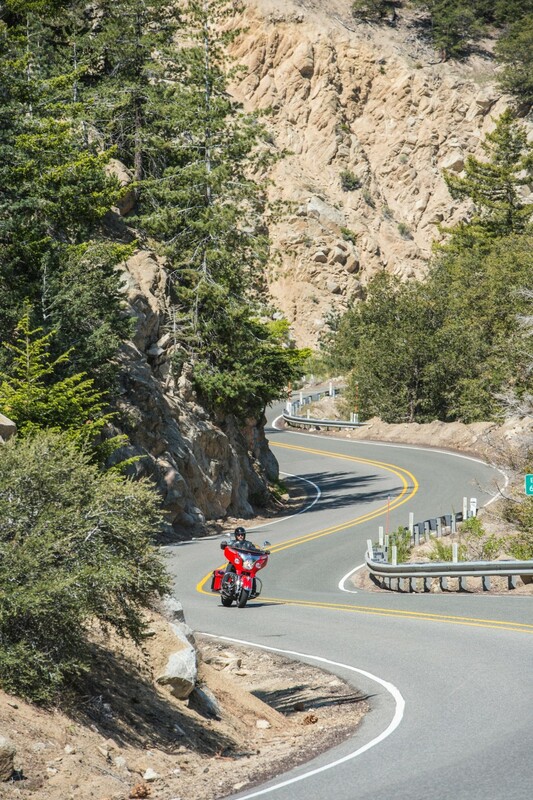 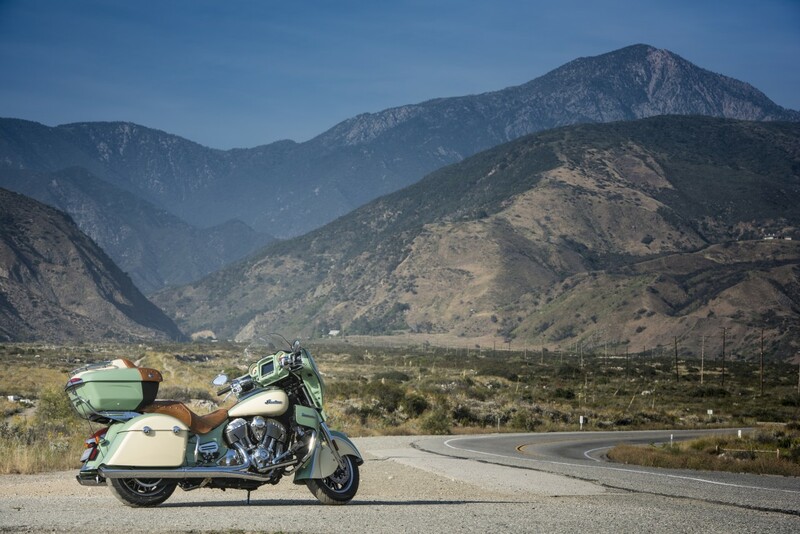 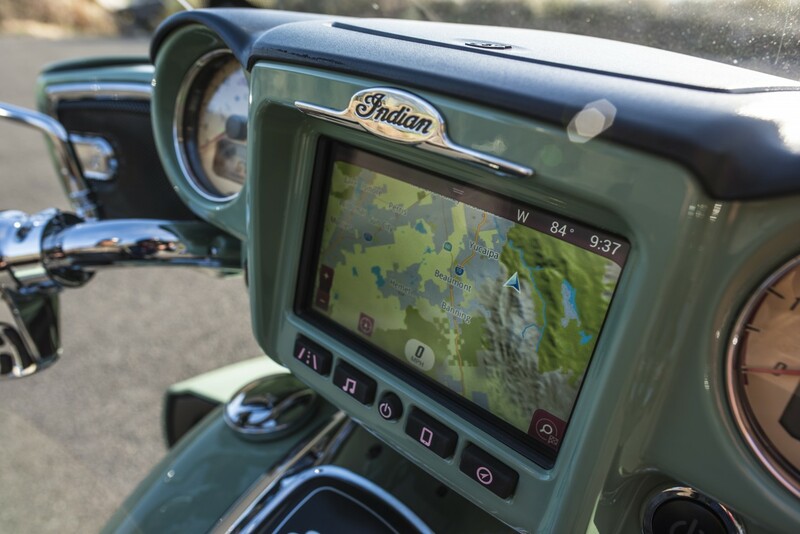 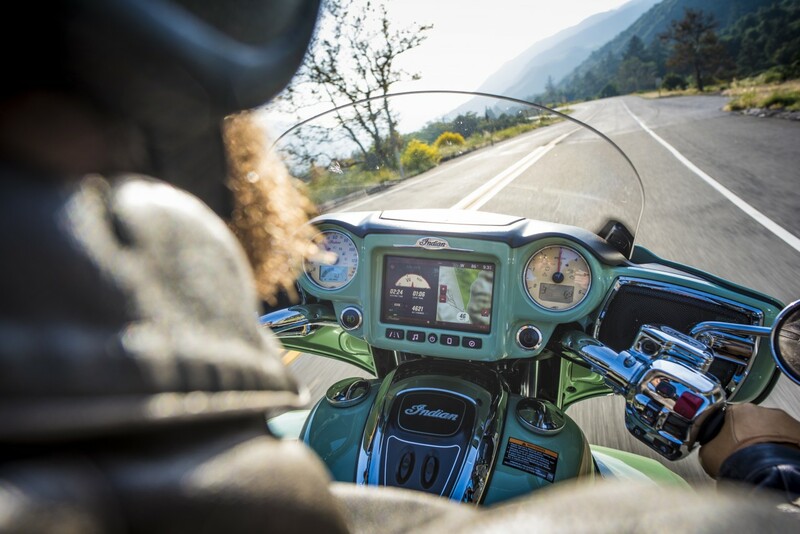 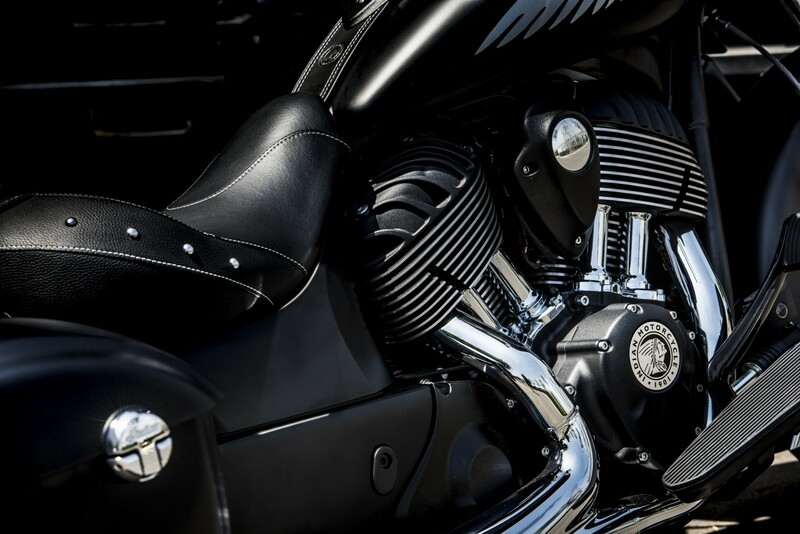 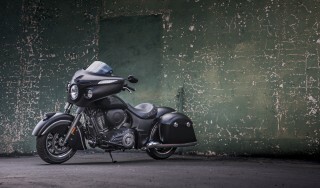 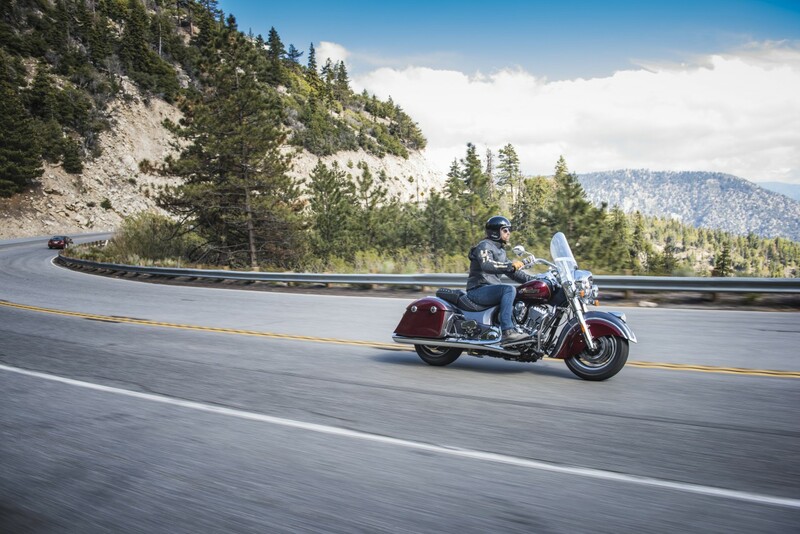 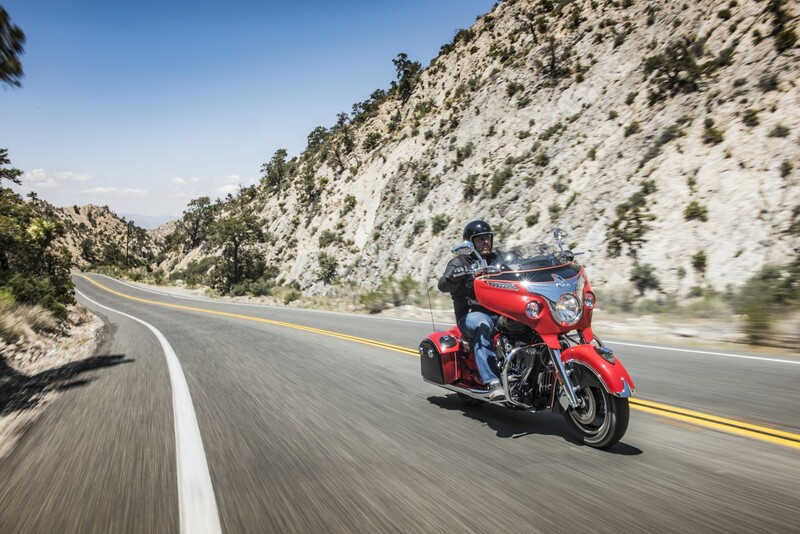 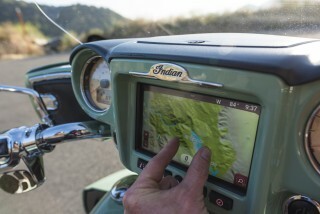 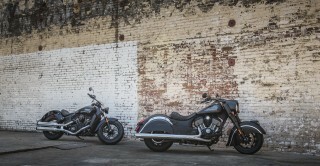 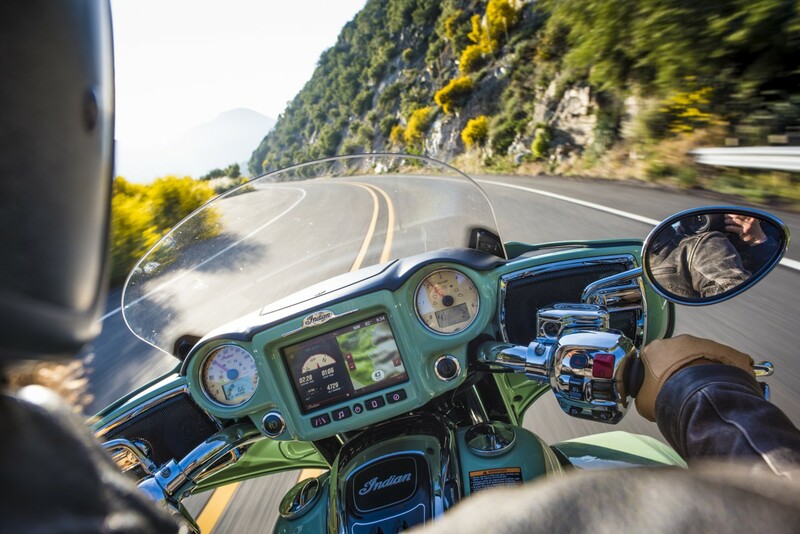 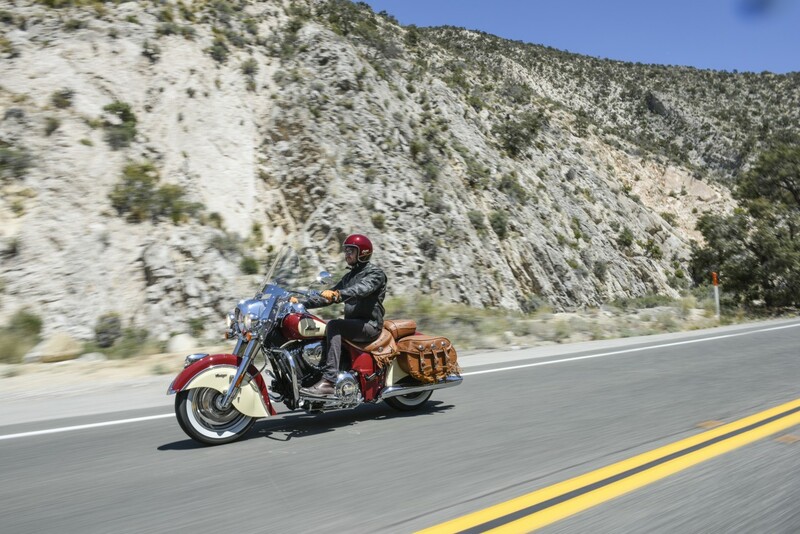 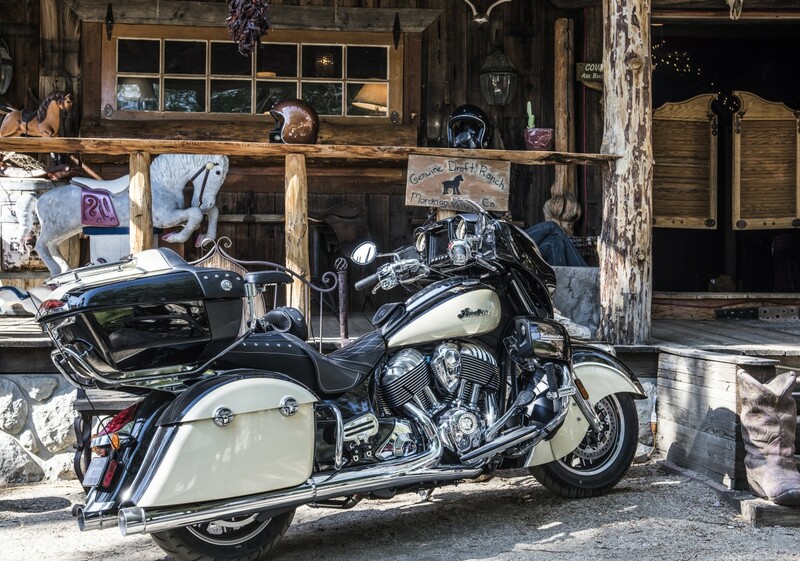 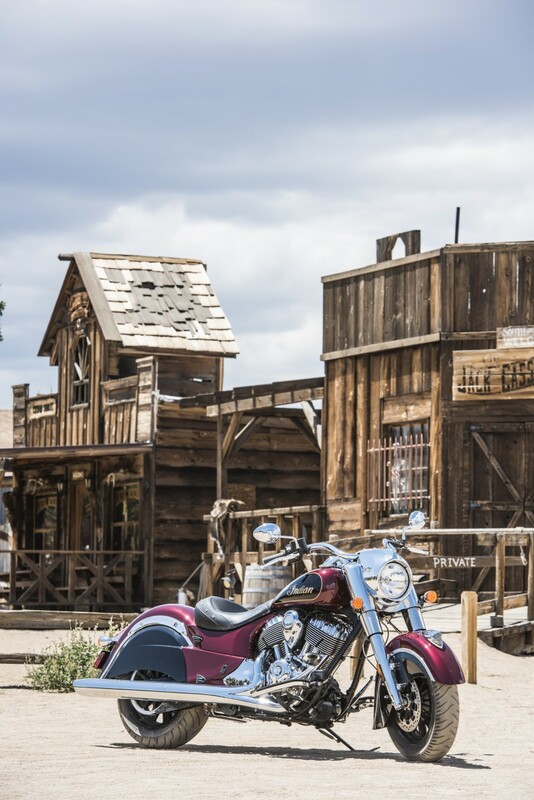 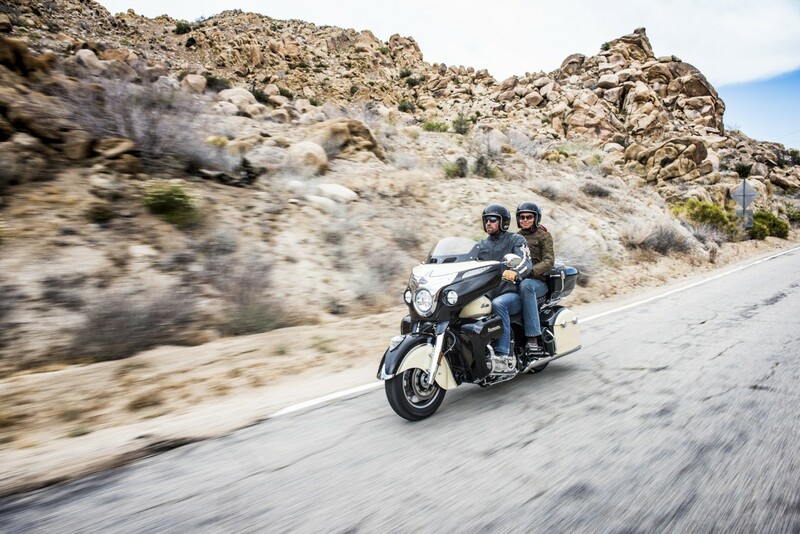 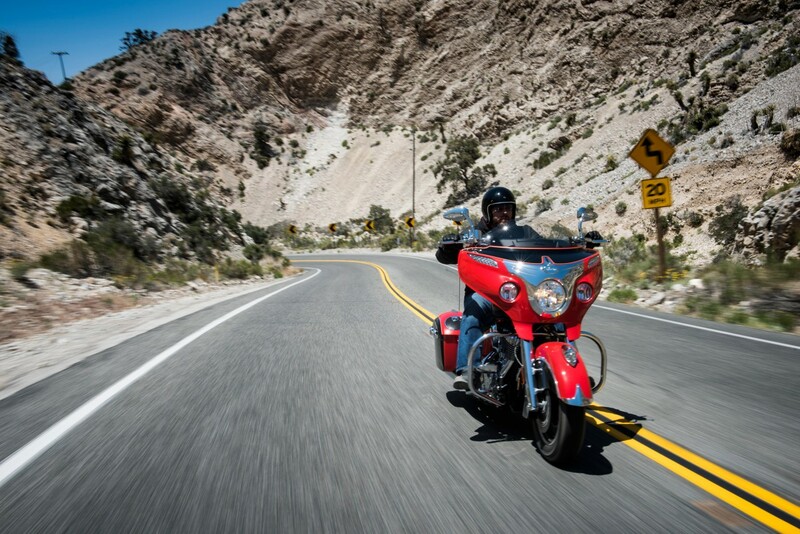 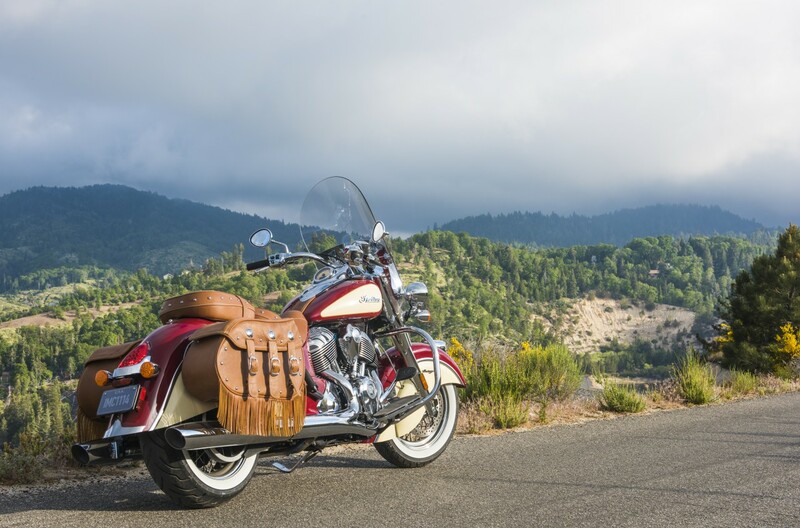 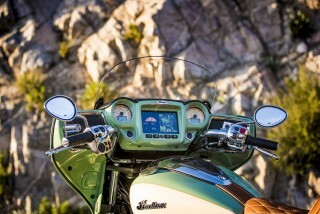 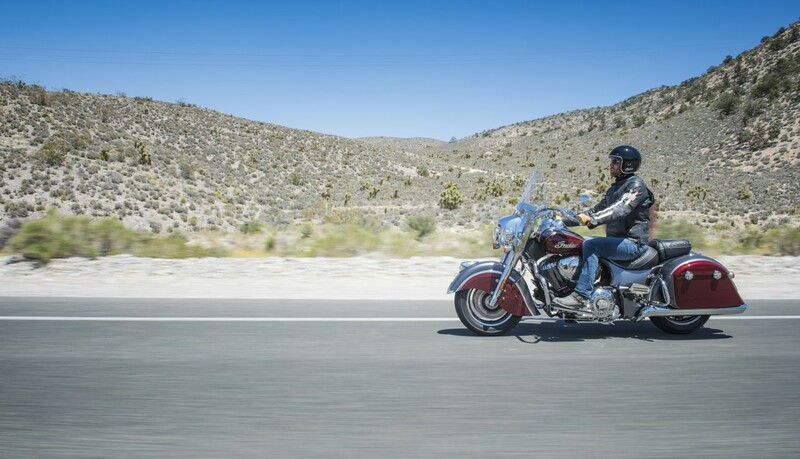 The headline news is the addition of the new touchscreen infotainment system called ‘Ride Command’ to the Chieftain and the Roadmaster (comes as standard). 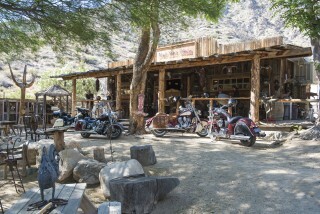 Scout Sixty can now be modified to be A2 licence compliant. And the existing line-up is now available in previously-never-seen-before colour schemes. 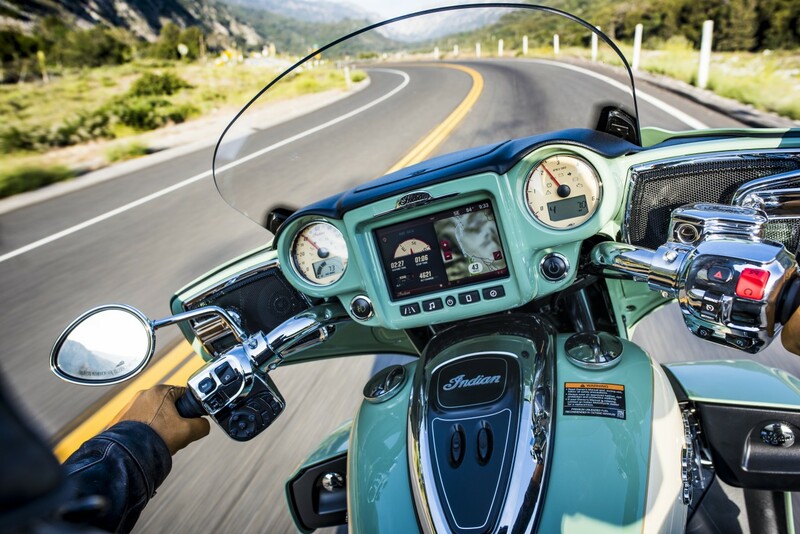 Ride Command is a new 7 inch touchscreen that’s integrated as standard into the dash of the 2017 Roadmaster and Chieftain models. 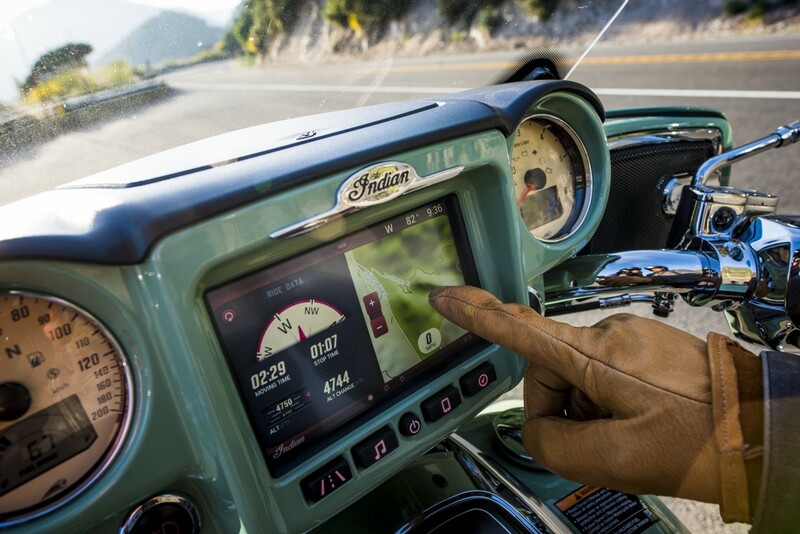 It has the best display in the industry, is the easiest to use and has customisable split-screens. 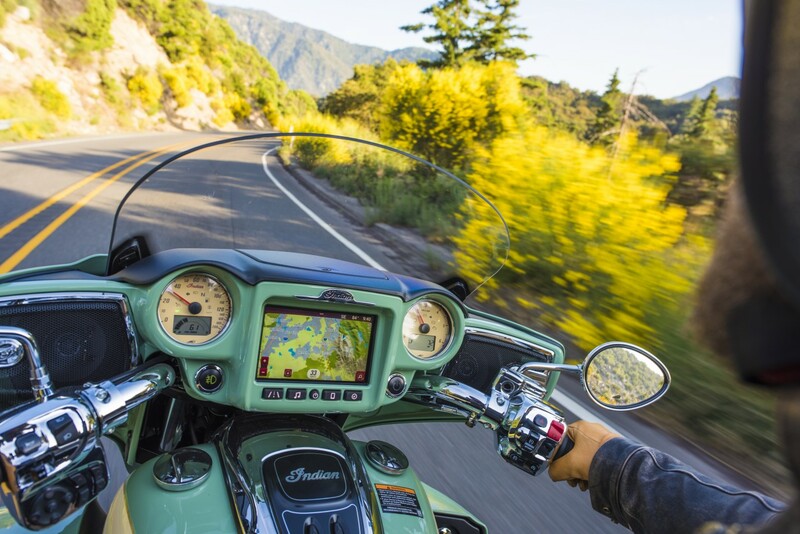 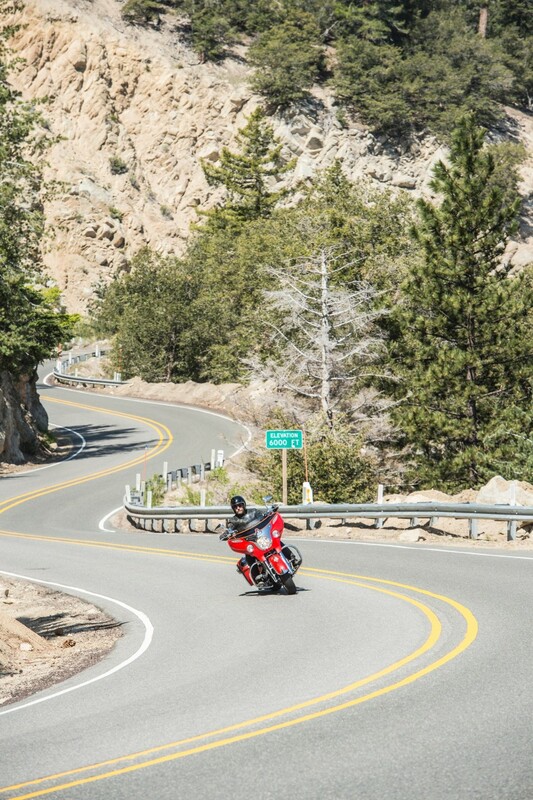 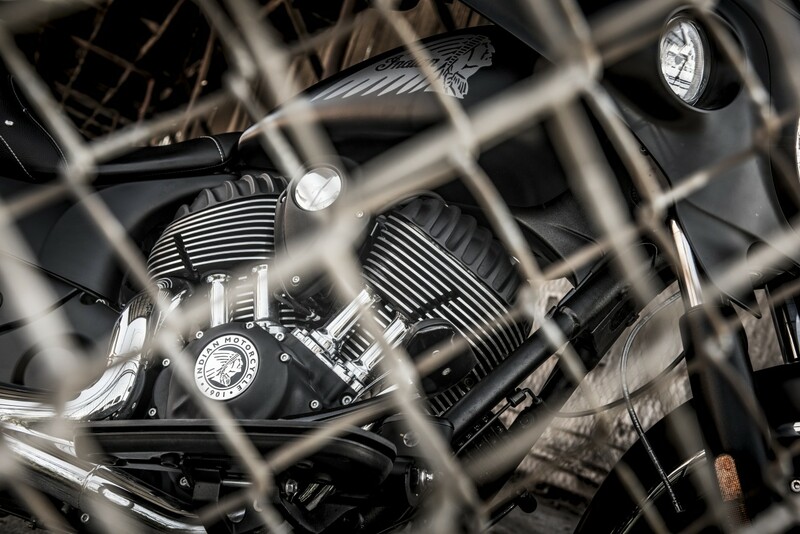 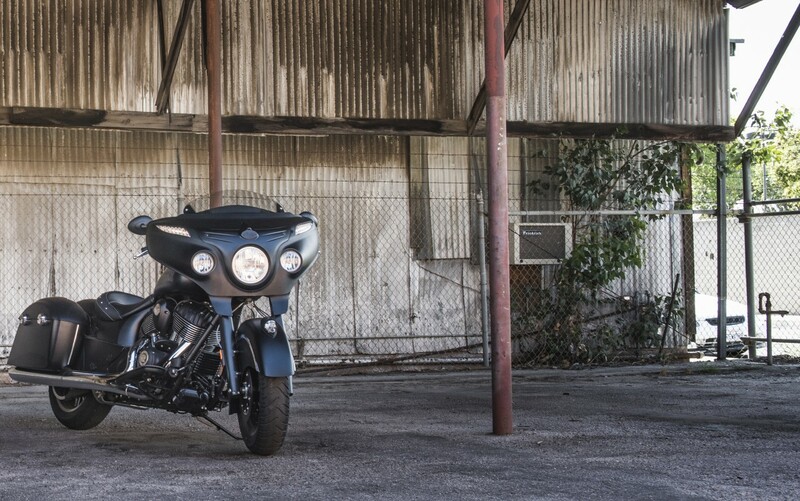 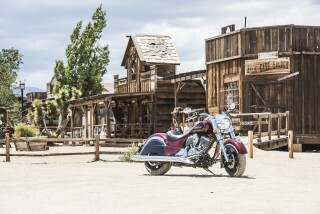 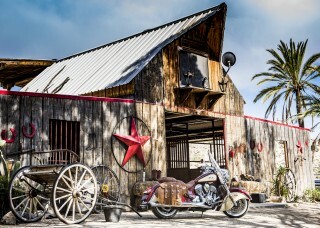 Scout Sixty can now be made A2 licence compliant after feedback from dealerships throughout Europe that demand from young riders for Scout Sixty was high. 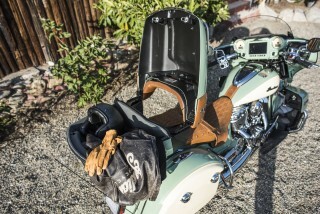 Dealers can now fit a restricting kit before delivery to the customer. Colours remain the same as last year. 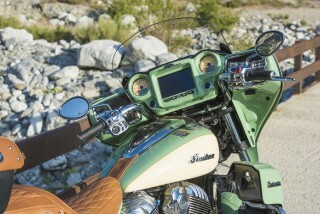 Scout is available in seven colour schemes in 2017. 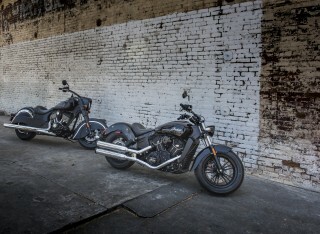 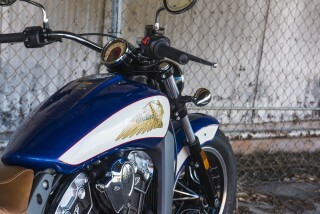 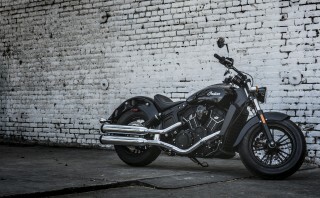 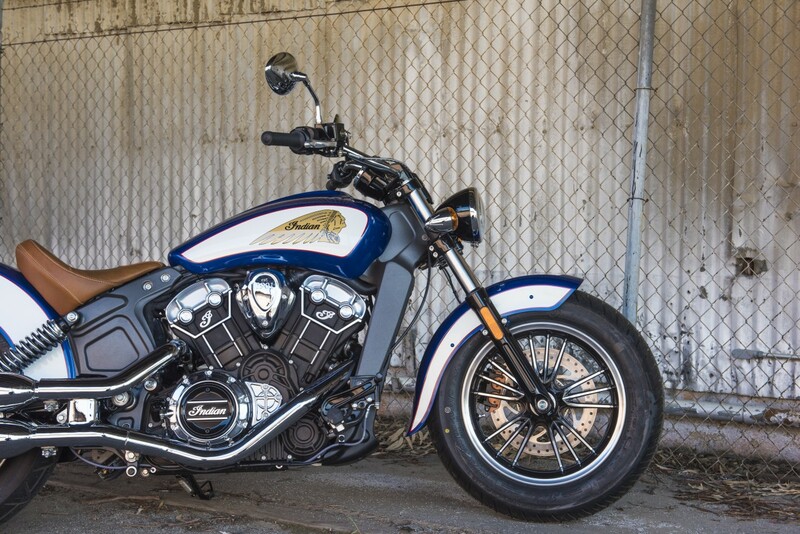 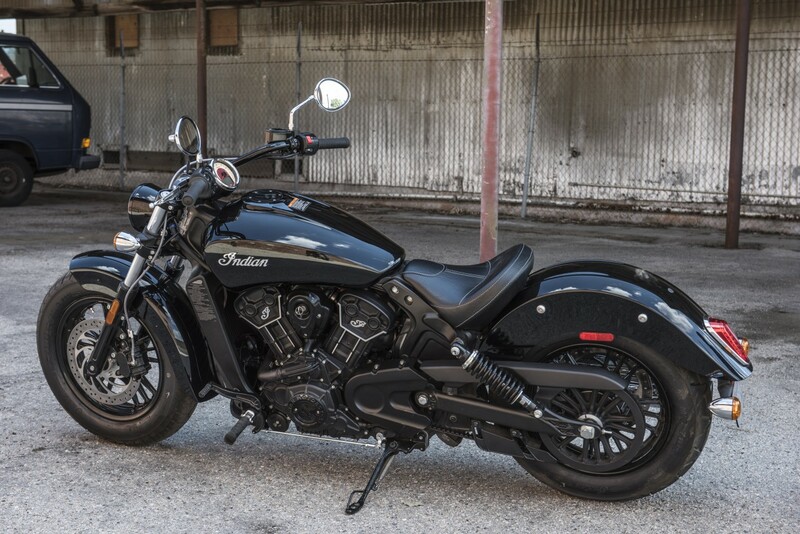 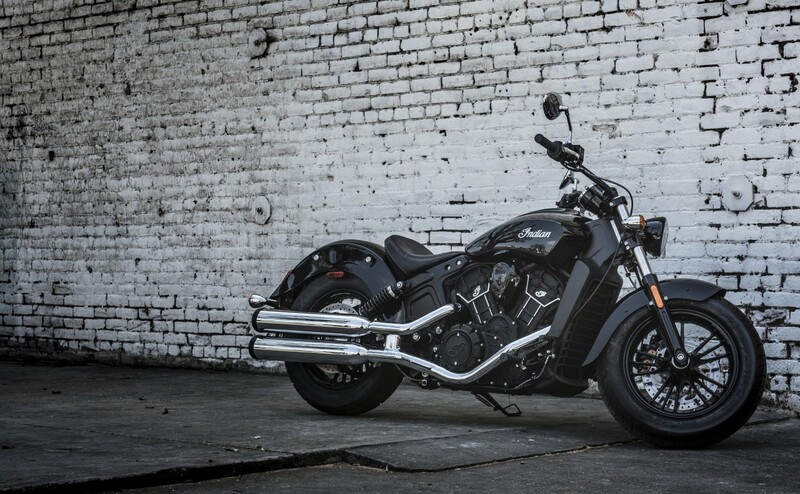 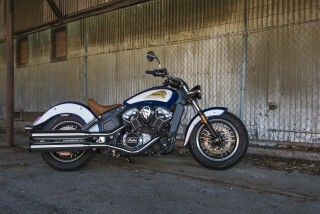 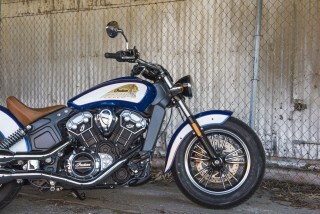 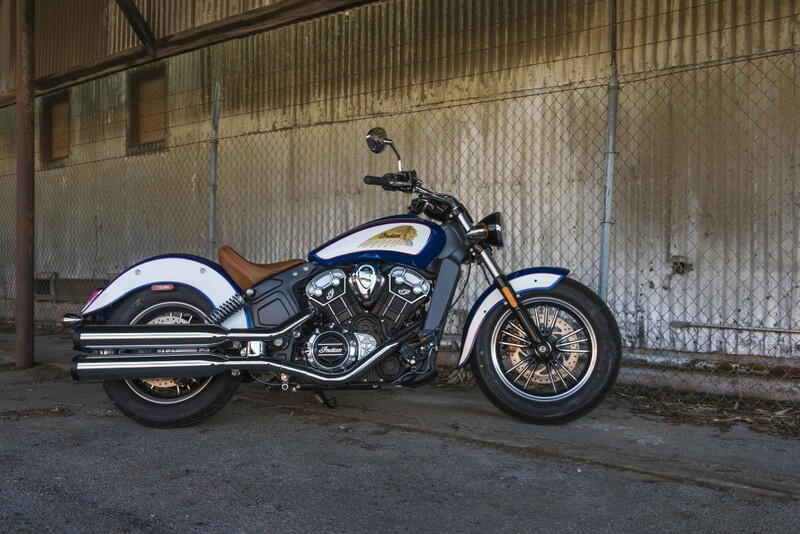 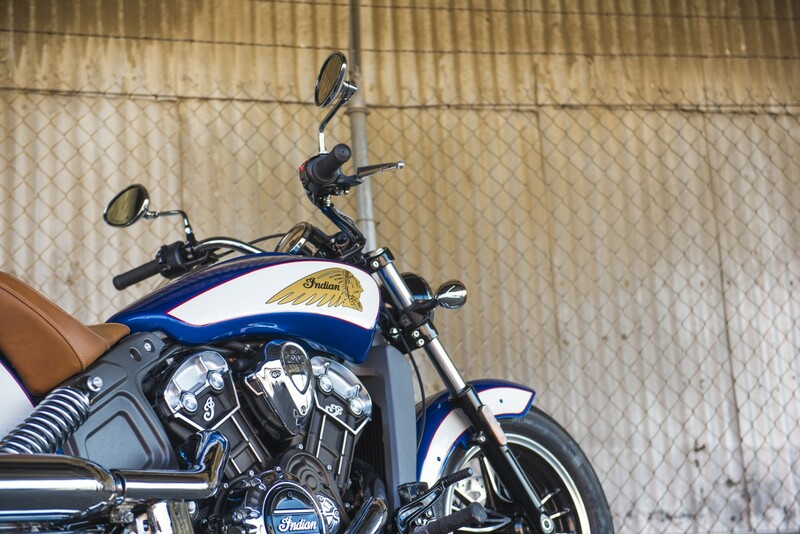 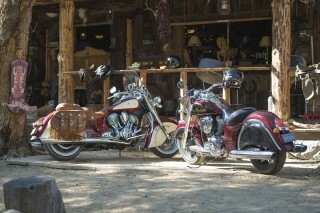 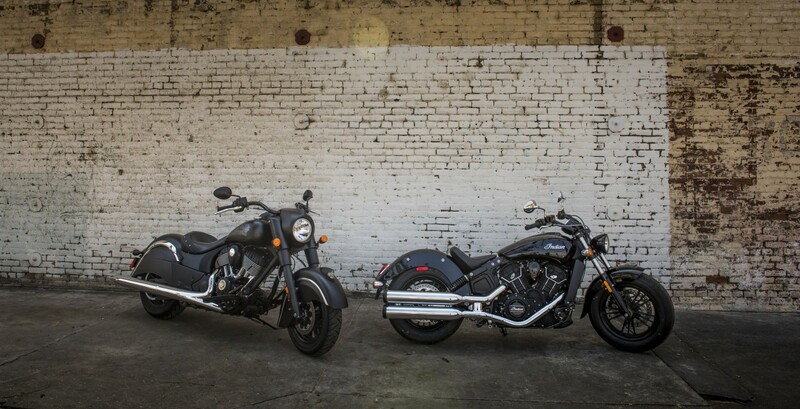 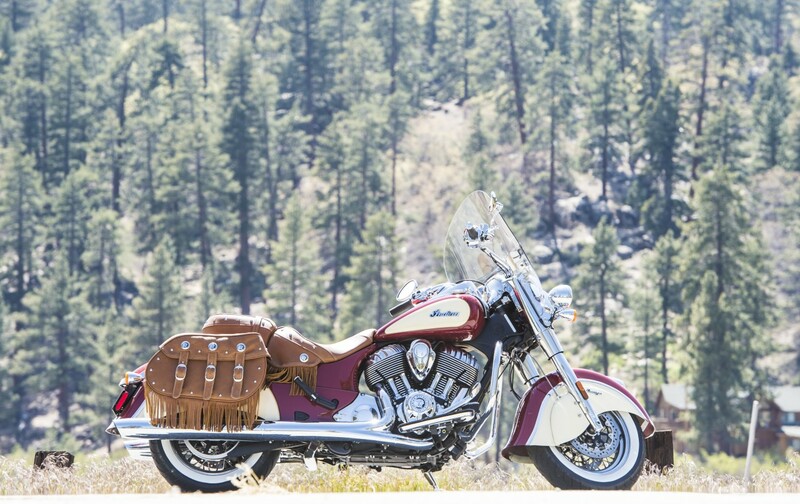 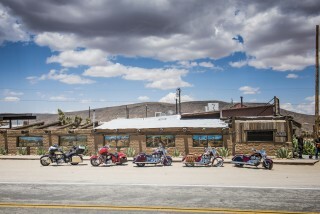 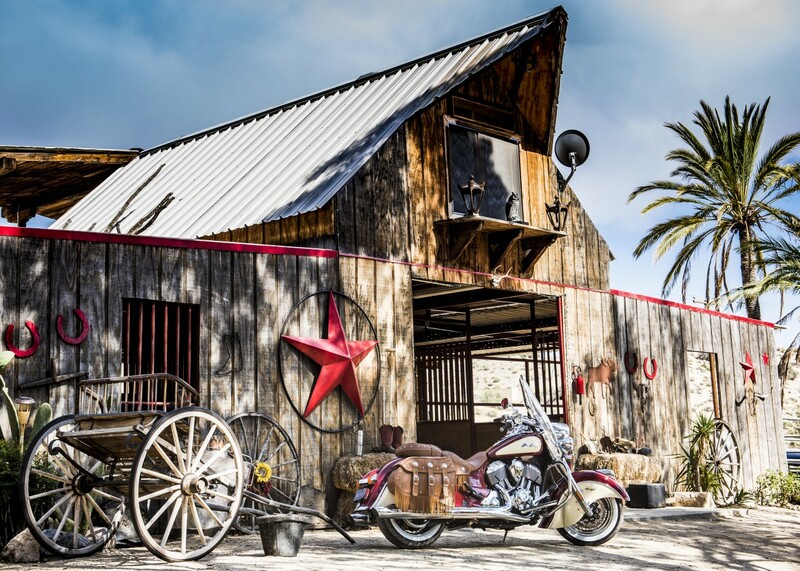 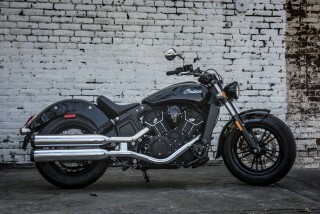 For the first time, Scout is available in two-tones – one is Indian Motorcycle Red over Black and one is Brilliant Blue over Pearl White with Fireball Red Pinstripe (a nod to the colours of the United States flag). 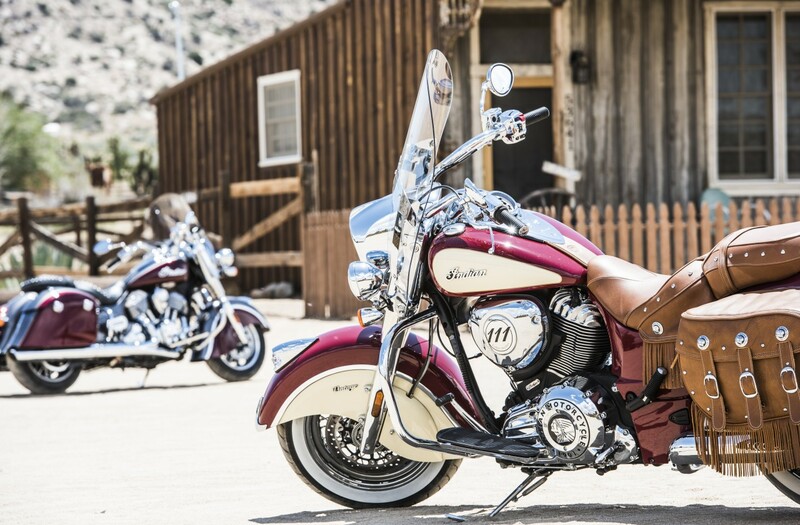 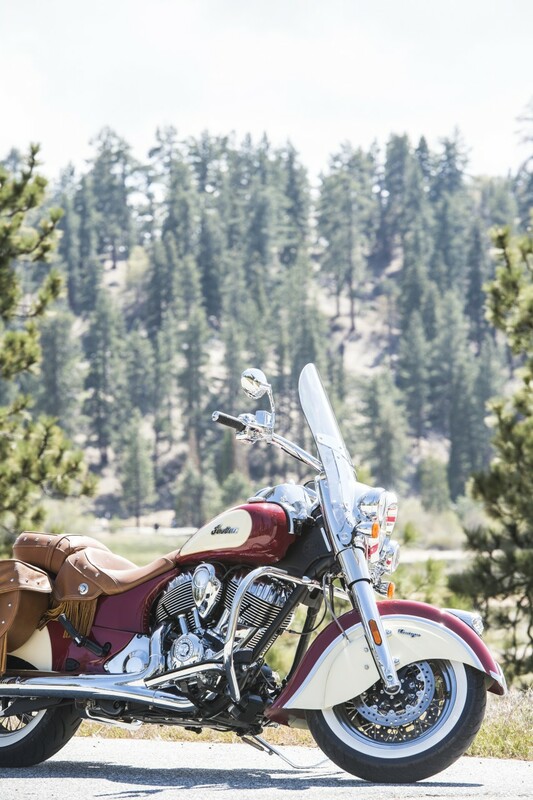 The Chief Classic was previously only available in Pearl White last year, but it now comes in a new two-tone scheme – Burgundy Metallic over Thunder Black. 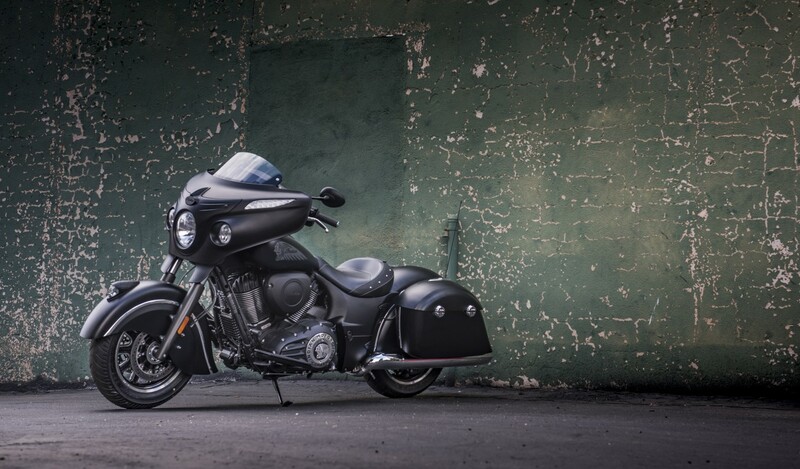 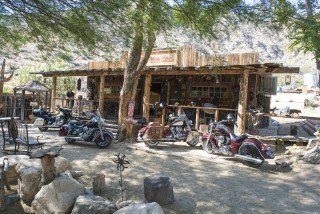 The Chief Dark Horse remains the same as last year. 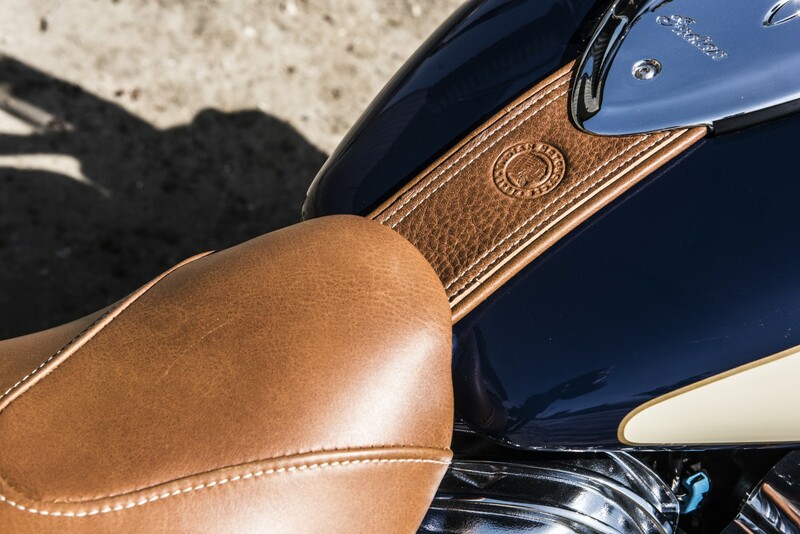 Springfield is now available in two-tone colours for the first time – Steel Grey over Burgundy Metallic with Silver Stripe (pictured) and Springfield Blue Metallic over Star Silver. 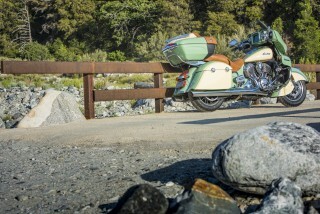 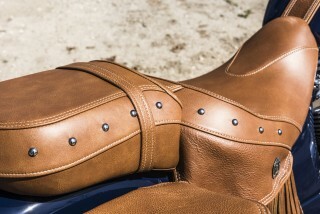 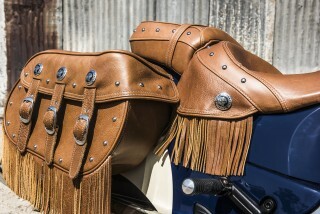 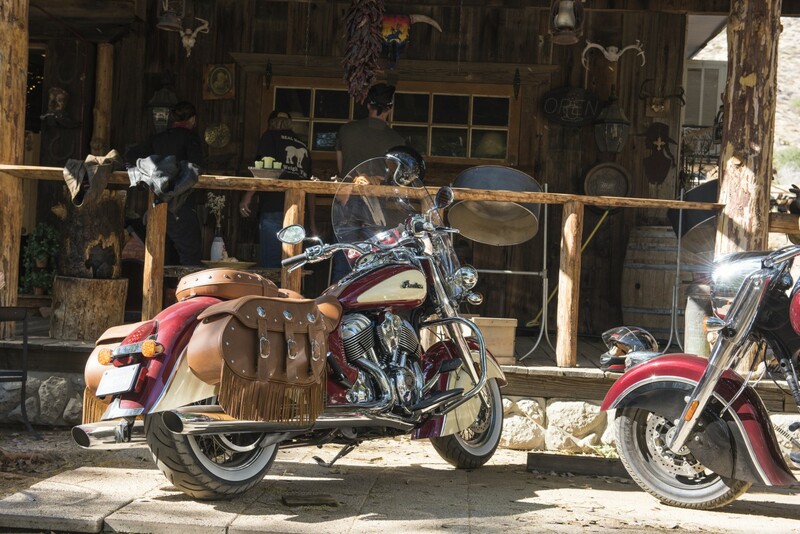 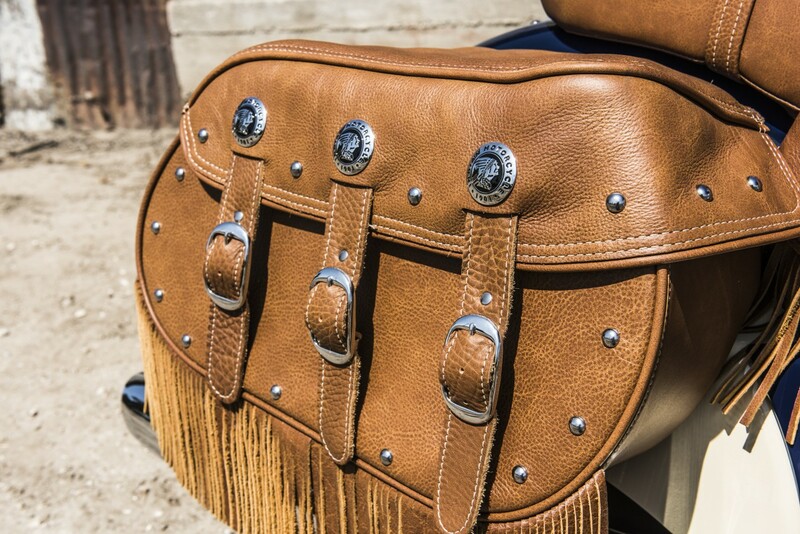 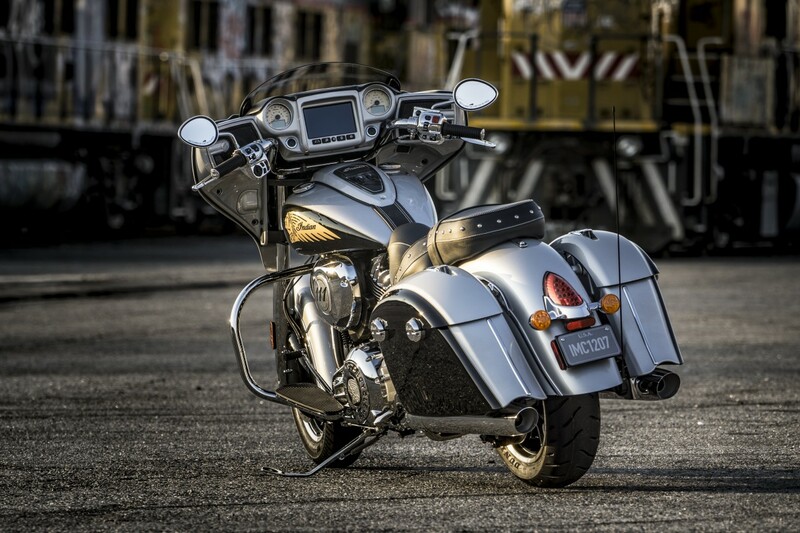 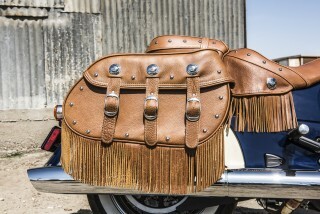 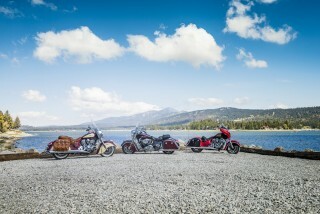 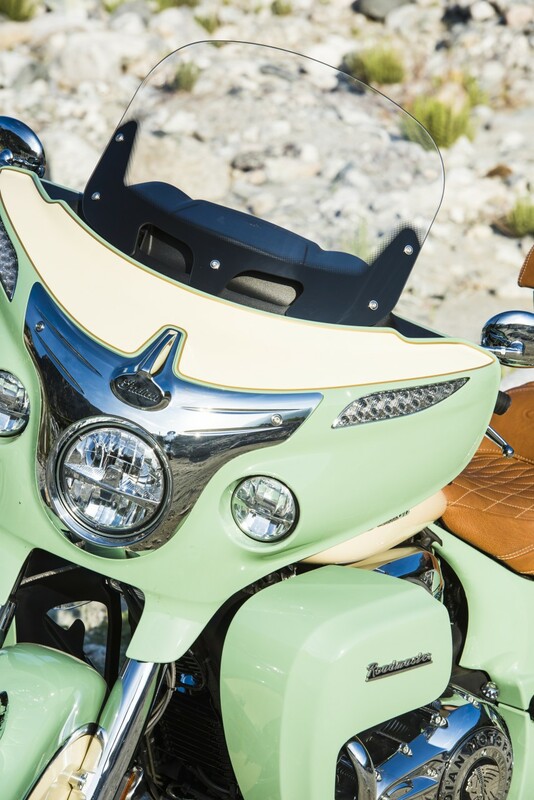 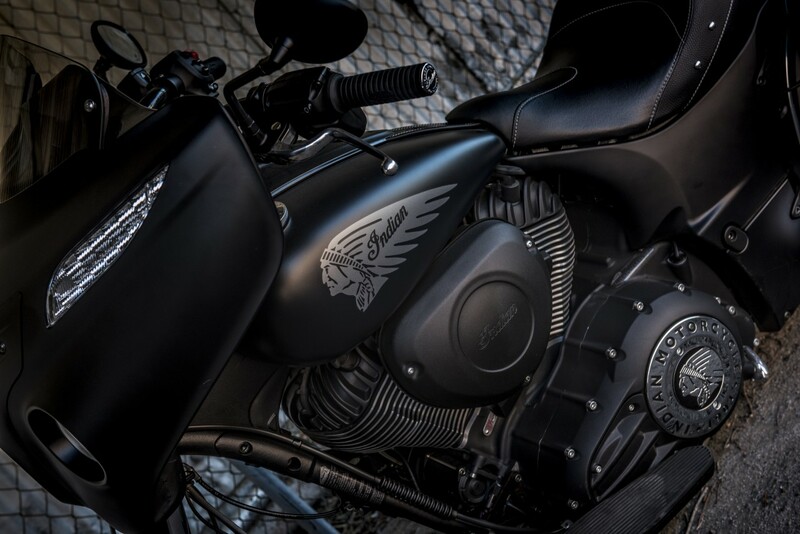 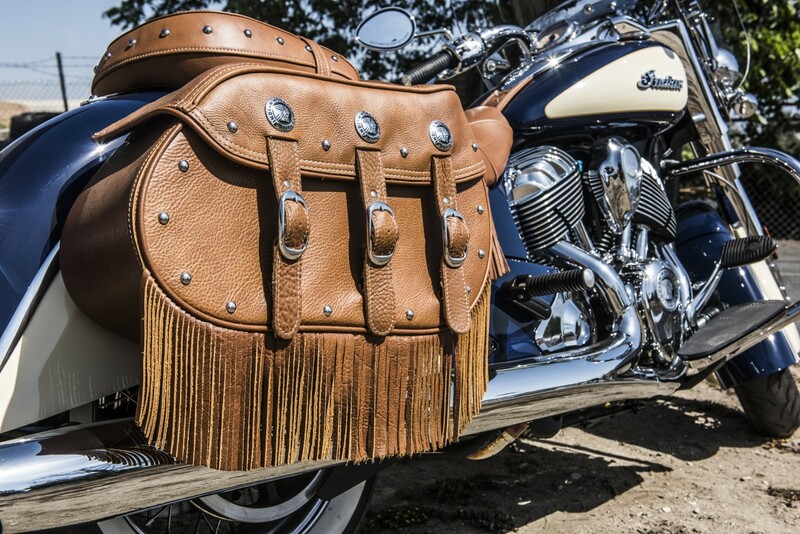 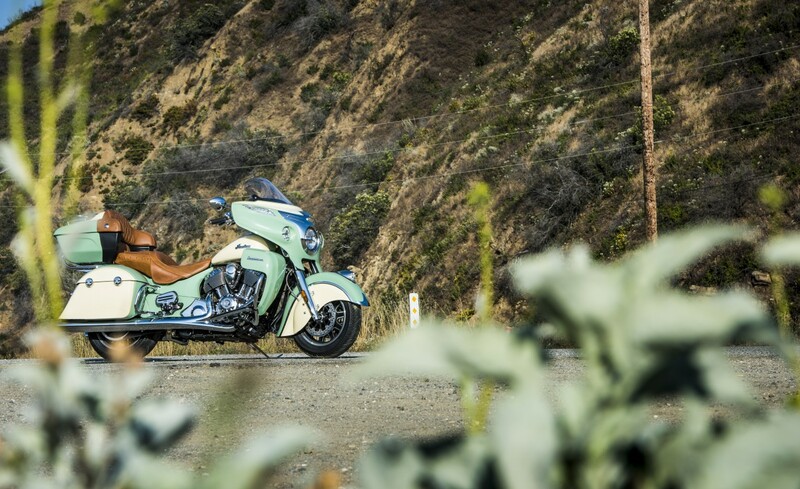 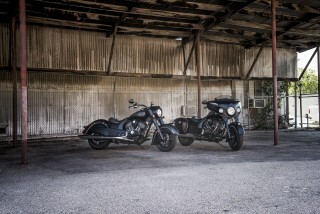 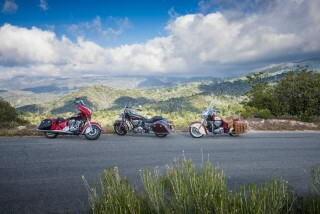 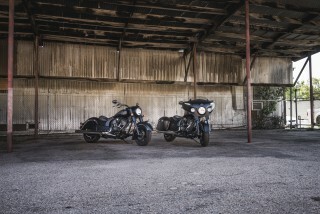 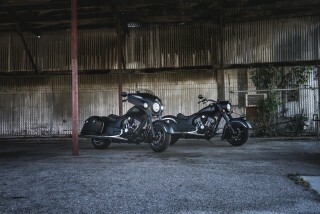 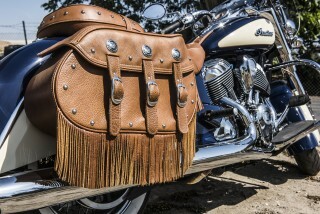 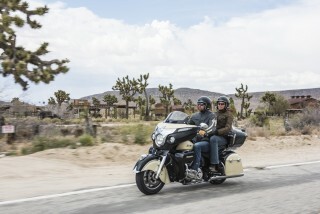 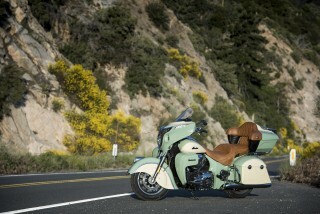 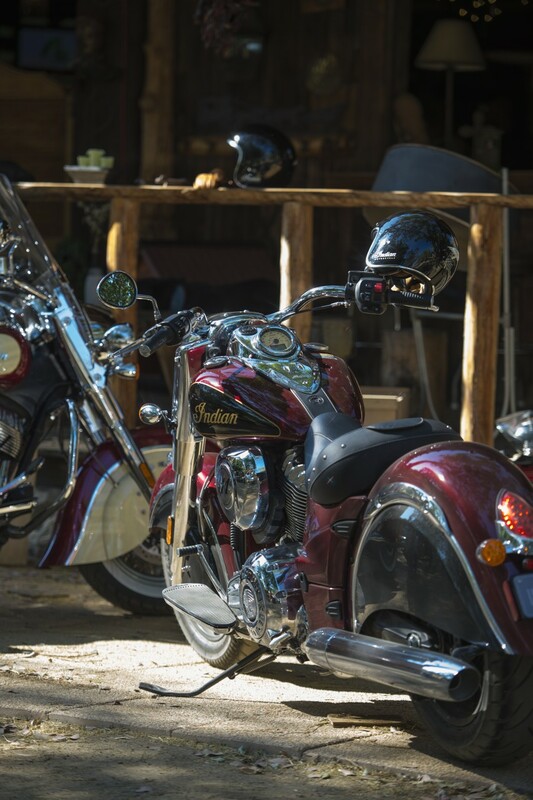 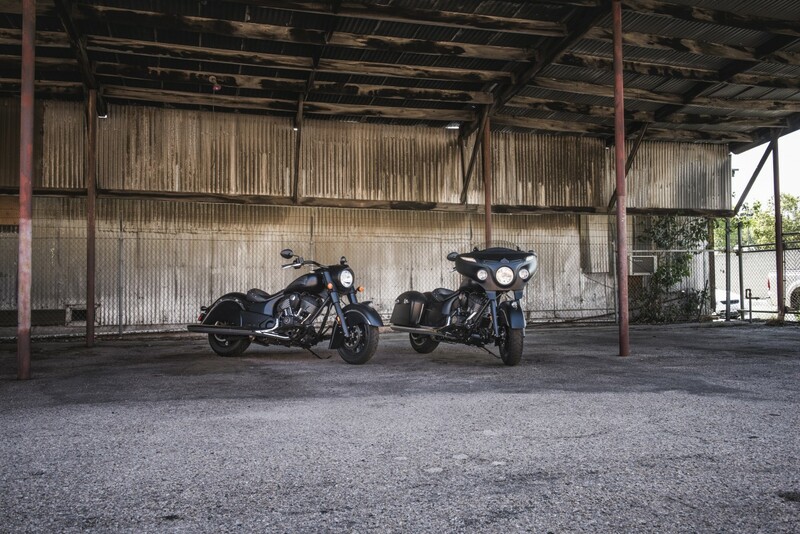 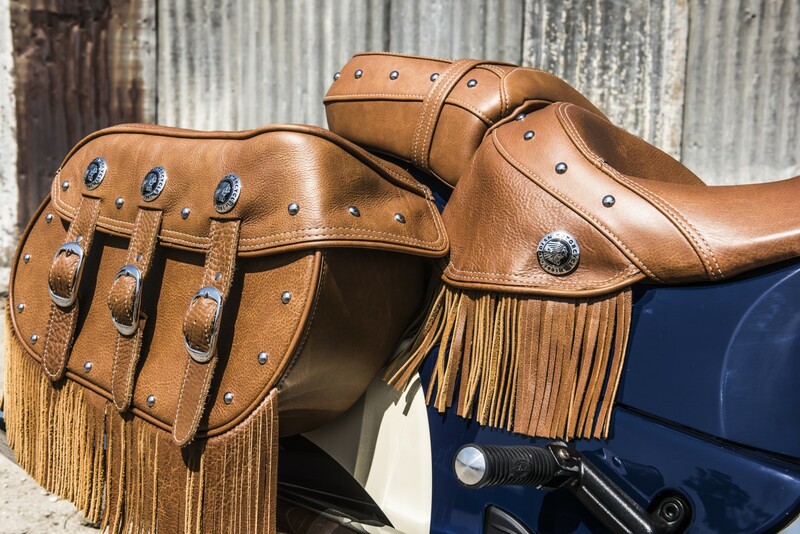 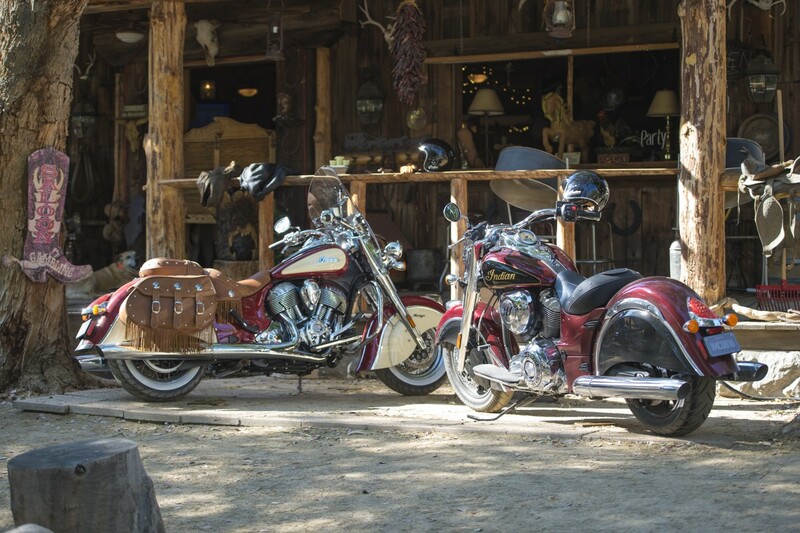 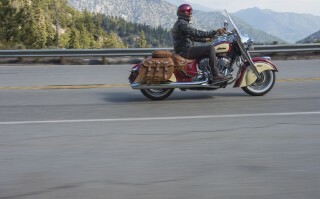 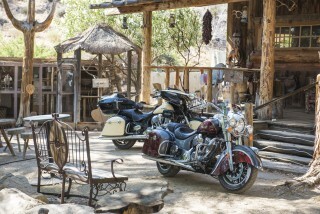 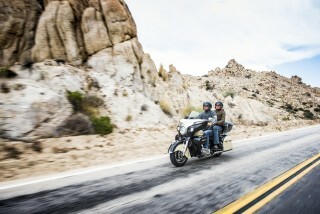 Chieftain comes in five colours this year – two of them new. 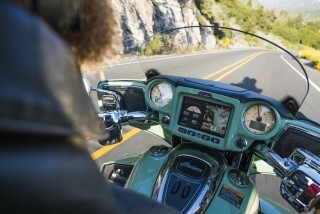 It also has the Ride Command touchscreen as standard. 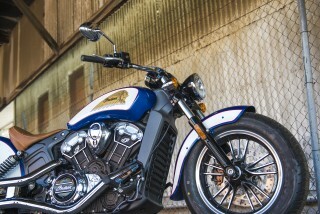 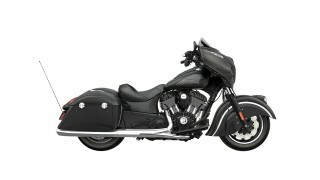 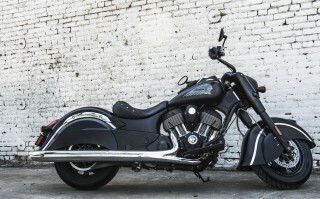 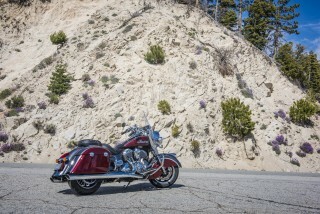 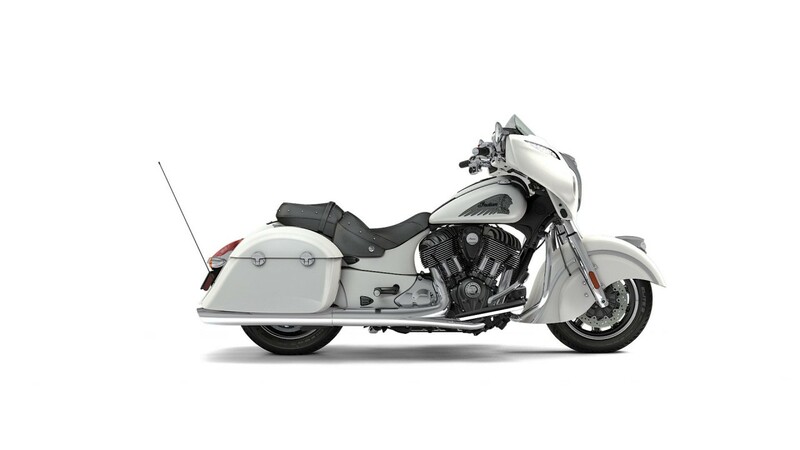 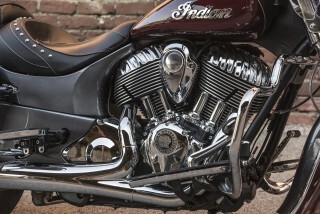 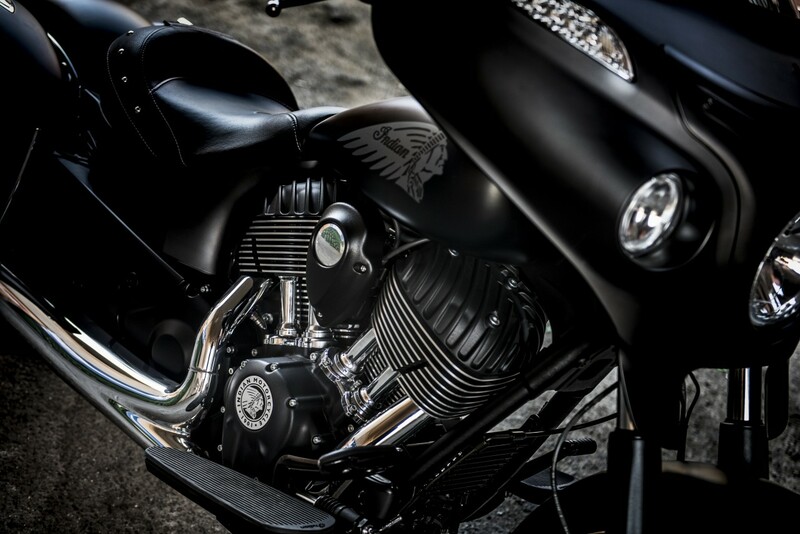 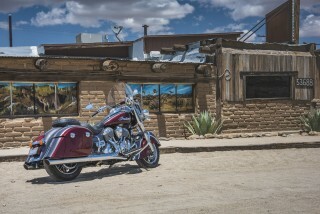 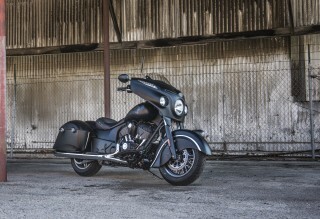 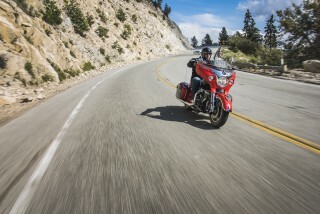 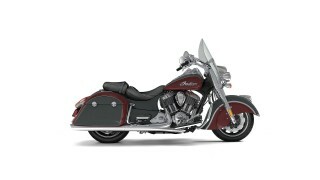 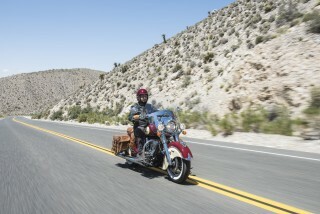 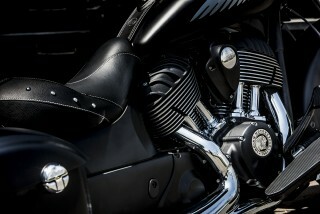 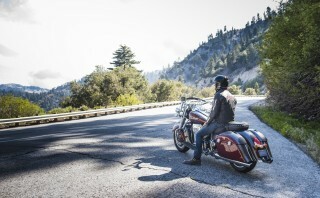 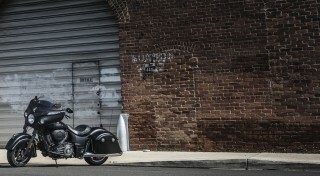 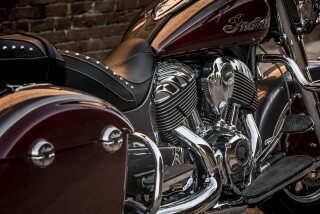 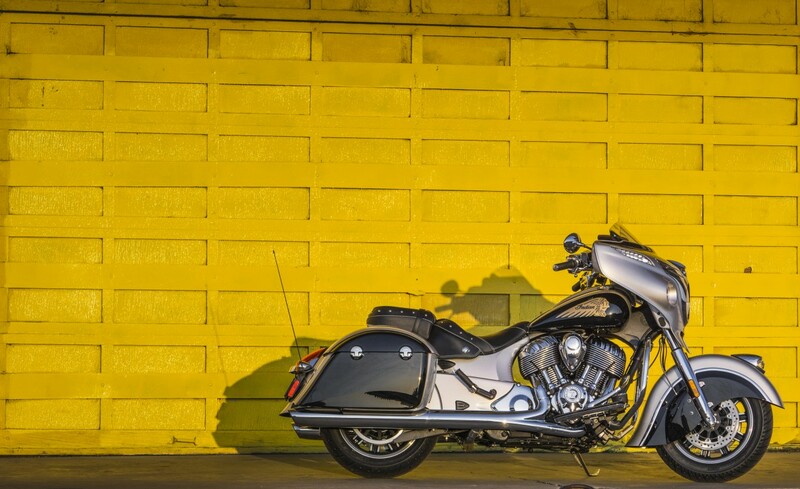 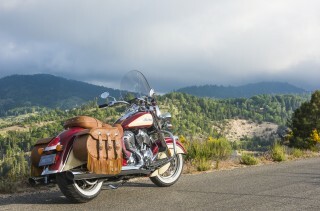 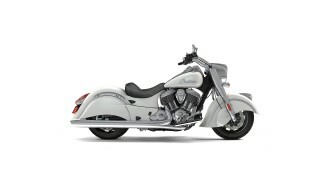 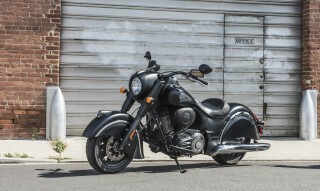 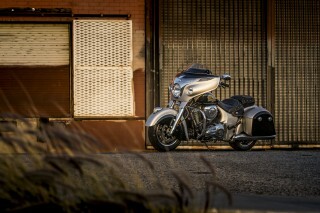 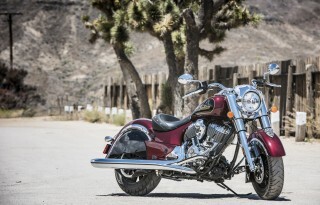 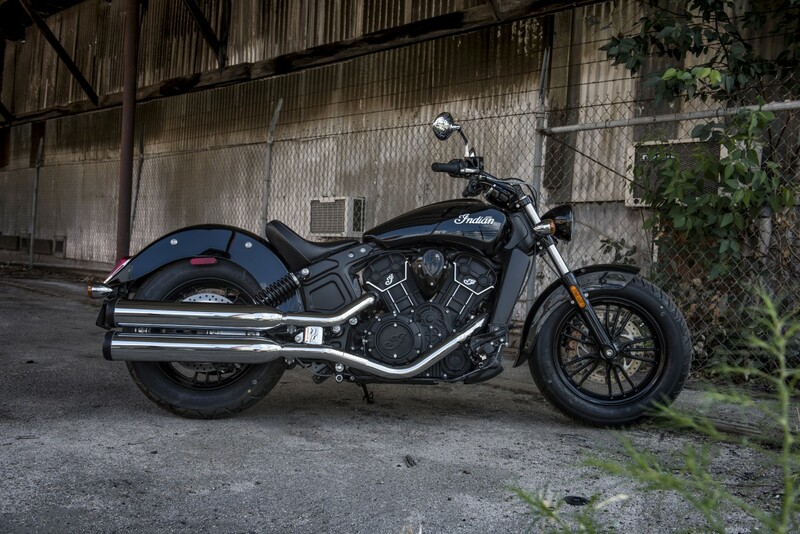 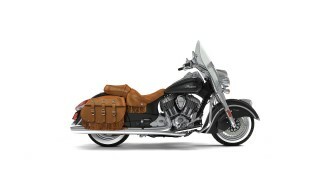 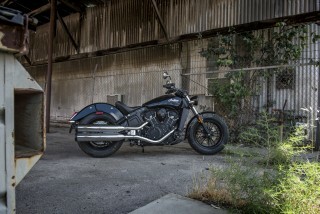 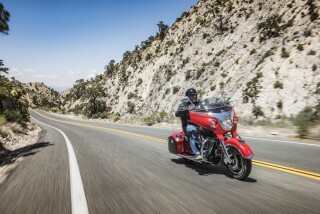 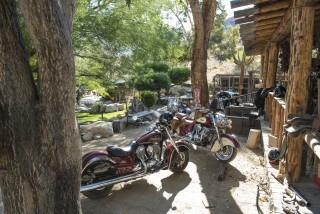 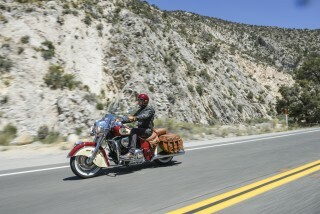 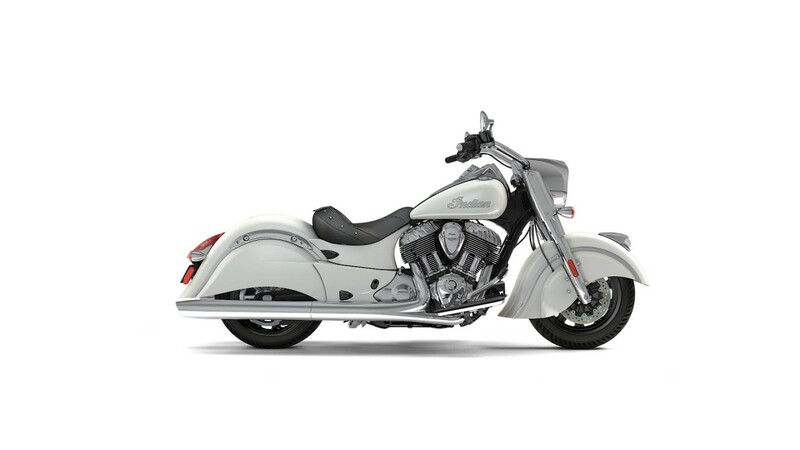 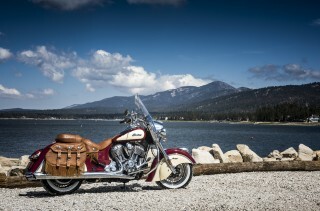 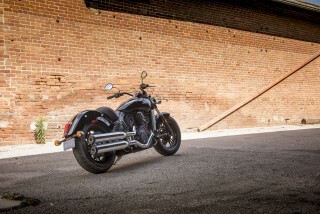 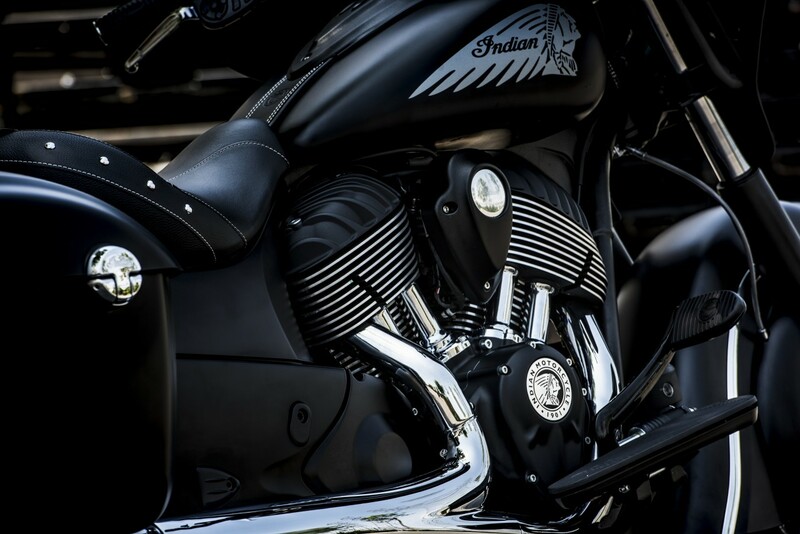 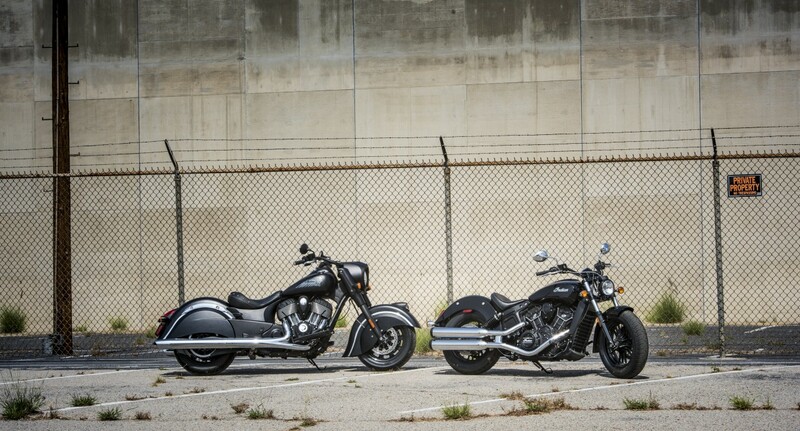 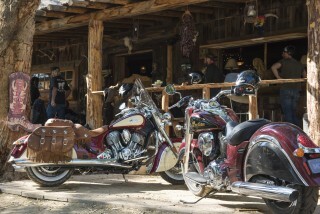 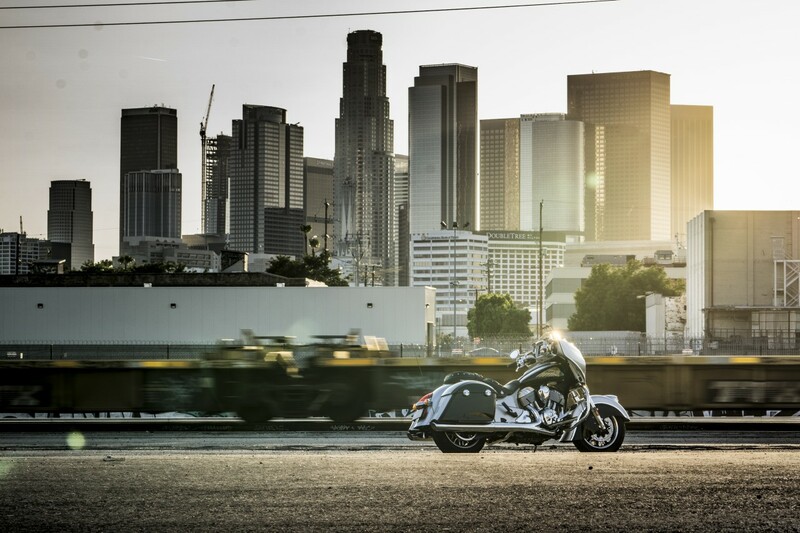 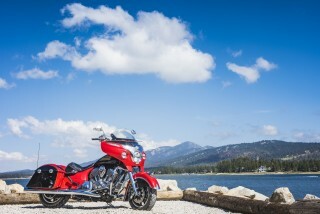 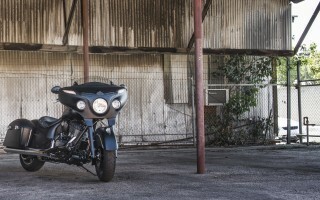 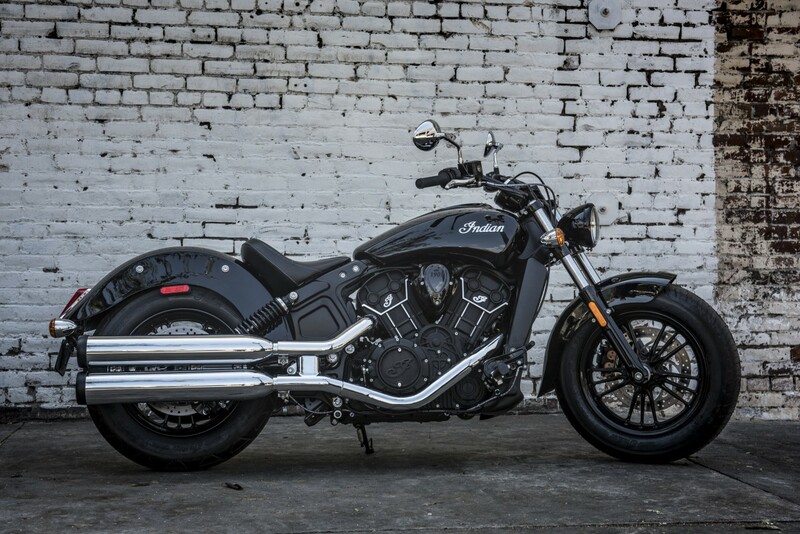 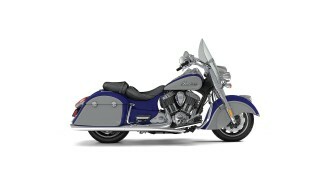 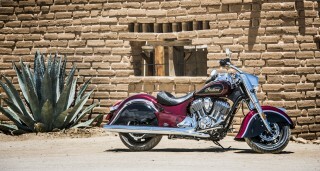 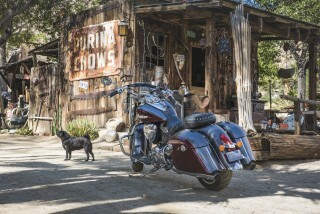 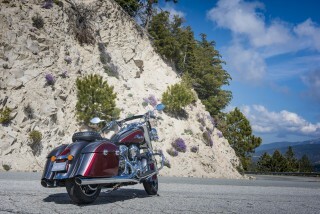 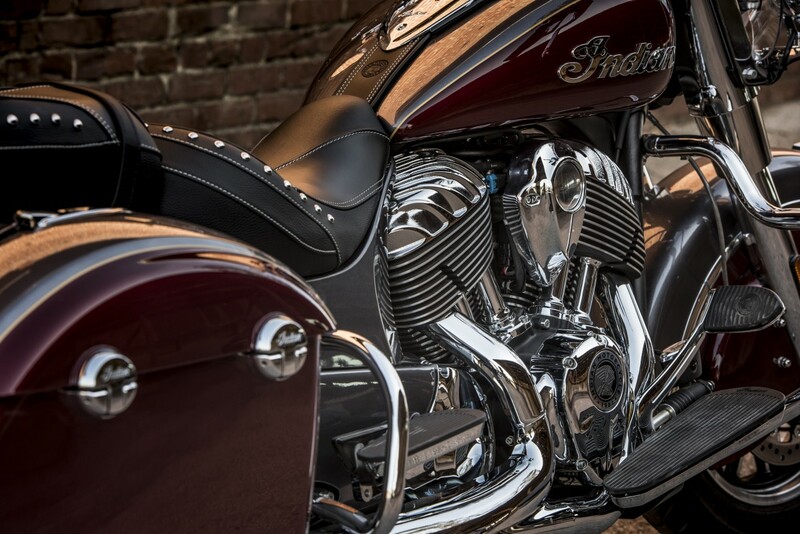 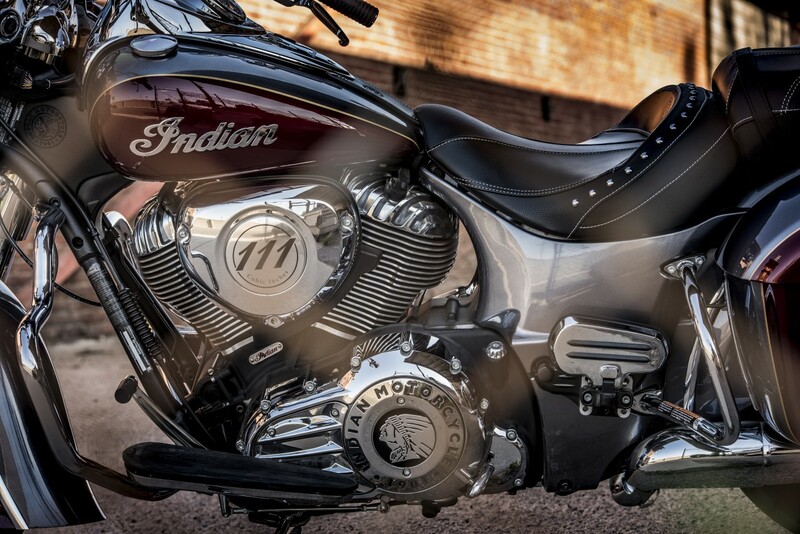 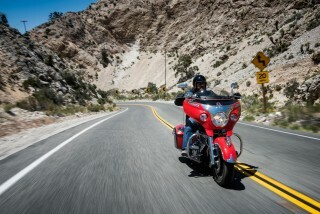 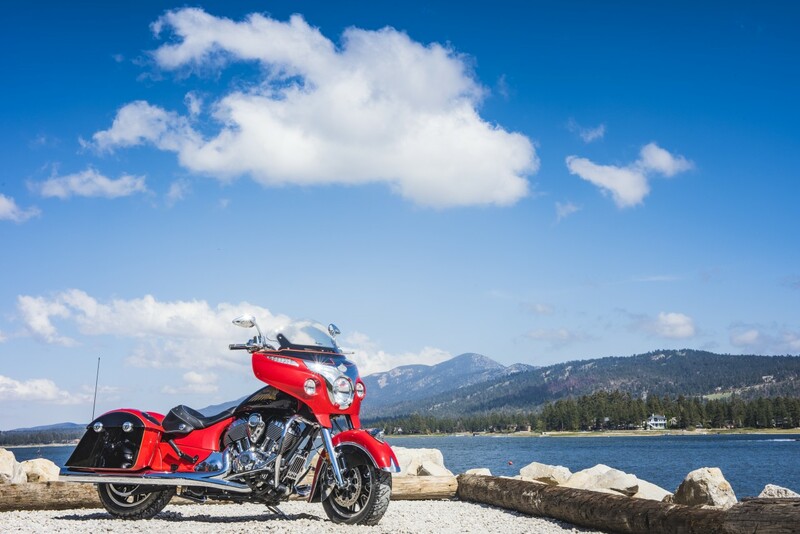 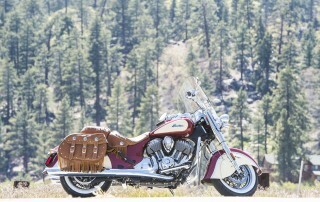 Remains the same as last year but won’t come with Ride Command like other Chieftain models do. There are five colours to choose from and all now come with Ride Command as standard.